I had visited Sychrov on two occasions. The Neo-Gothic façade never failed to captivate me. The exterior was so impressive, and I knew very well that the architecture and furnishings of the interior were just as stunning. Still, this time would be different from my previous visits because I was going on Tour B as well as Tour A. 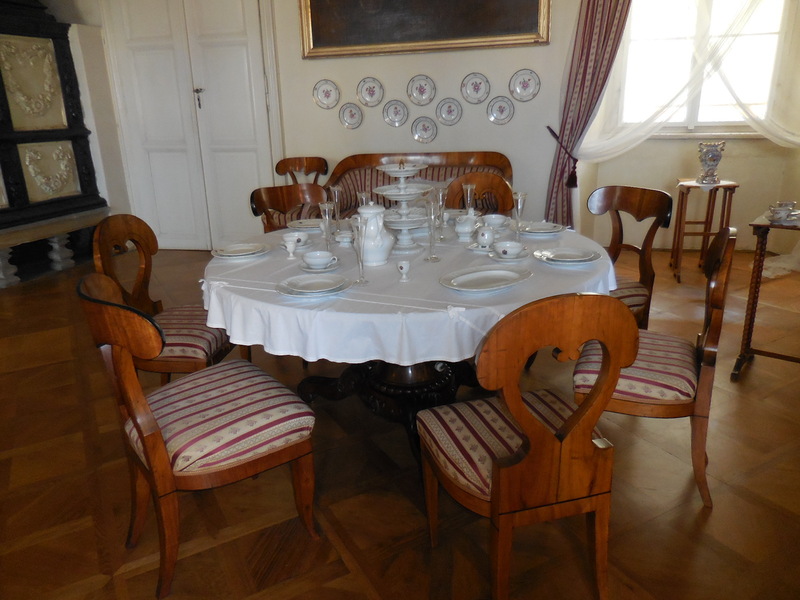 Tour B focuses on rooms decorated as they were during the First Czechoslovak Republic of the early 20th century and is only offered in July and August. Tour A takes visitors back to the end of the 19th century. 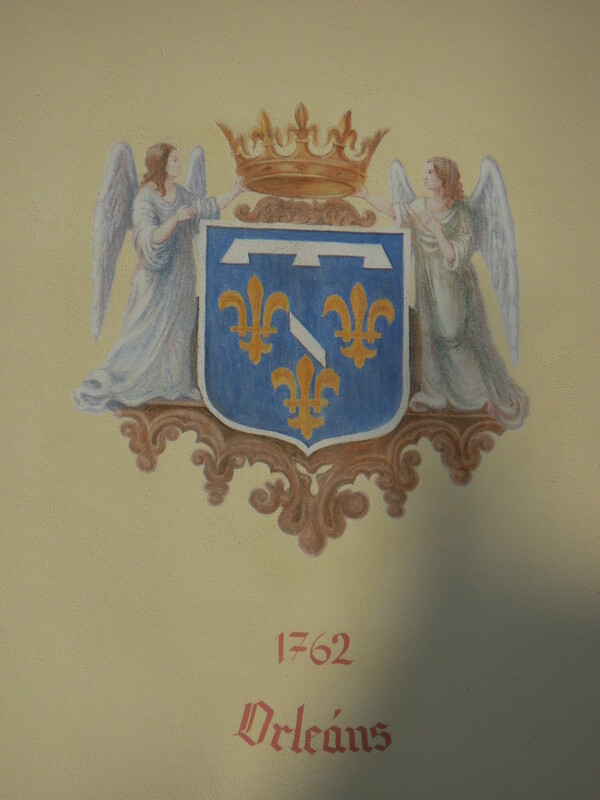 While I was waiting for Tour B to begin, I studied the coats-of-arms painted on the walls facing the courtyard of the chateau and earnestly took photographs. I was already familiar with the history of the chateau, which had been owned by the Rohan clan of French origin for 125 years. Let’s start at the beginning: The village harkened back to the 14th century. A fortress was built there in the following century. 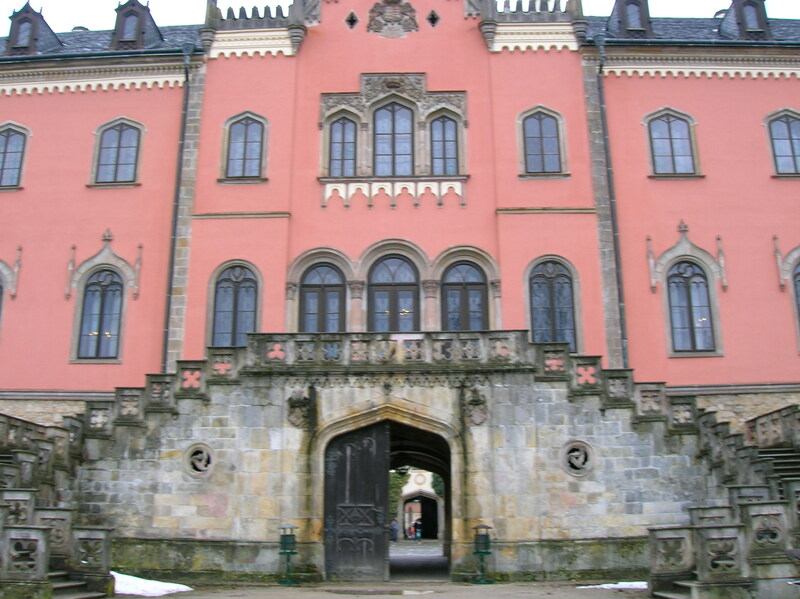 The chateau, however, came into existence at the end of the 17th century, when French knights called the Lamotts of Frintropp erected a small, Baroque chateau with a high tower and park. The Rohans had to leave France after the French Revolution. 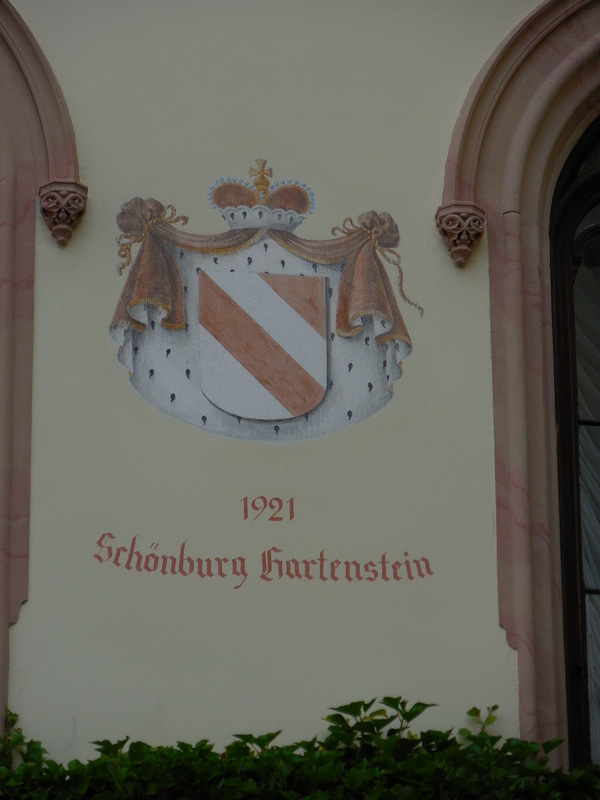 Austrian Vice Marshall Charles Alain Gabriel Rohan bought the chateau in 1820, and the family’s more-than-a-hundred year tenure would make the chateau the gem it is today. The Rohan dynasty hailed from the 10th century and got their name from a town in Brittany. It is said that their ancestors even went back to the founder of Brittany, Conan Meriadoc. 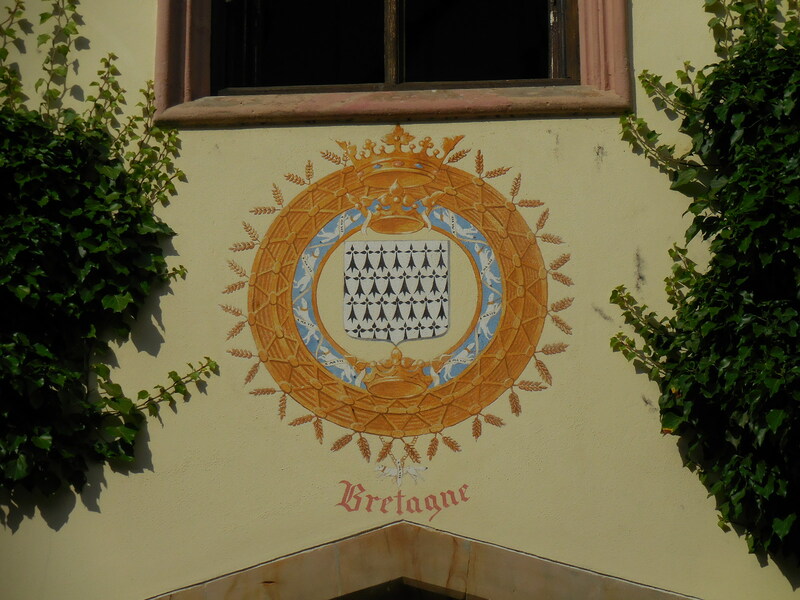 Prestigious members of the Rohan clan included four cardinals serving as Bishop of Strasbourg during the 18th century. Other Rohans had enjoyed political and military success, too. Henri, known as Duke of Rohan was successful as a writer as well as a soldier. His memoirs are considered to be one of the best by French nobility during the 16th and 17th centuries. 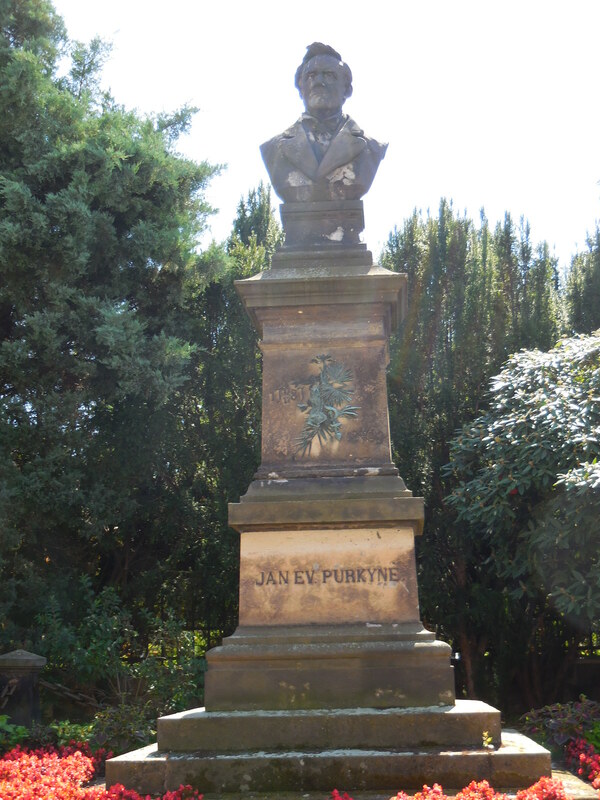 He also penned descriptions of his travels and also published a historical account of war. As a soldier he was a leader of the Huguenots and also played a role in the Thirty Years’ War. One member of the family even appeared in two of Alexandre Dumas’ novels – The Three Musketeers and Twenty Years After. Marie of Rohan, also referred to as the Duchess of Chartreuse, had befriended the queen of France. She was blamed for the queen’s miscarriage and was subsequently banished from the court. Then she initiated many conspiracies against France. Exerting her political influence, she even encouraged foreign powers to take stances against France. An opera has been written about her, and several books about her life have been published. 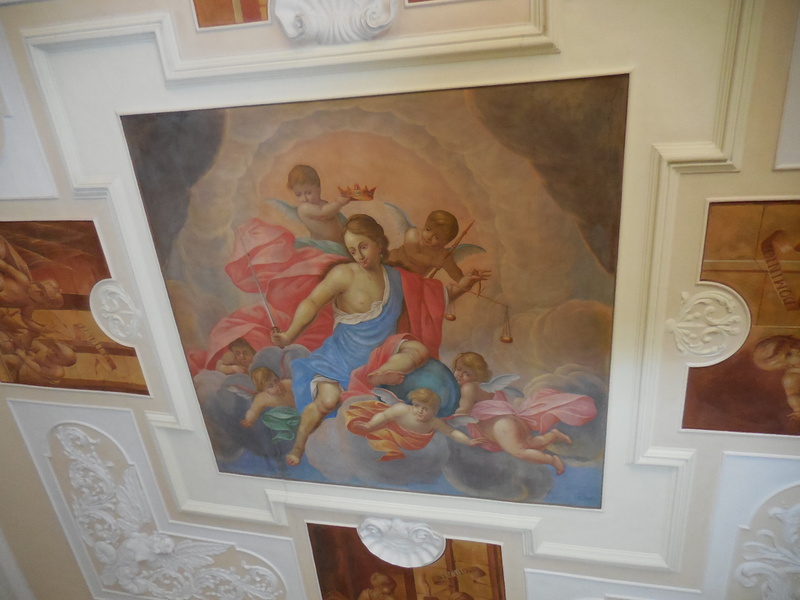 The Rohans made many changes to the Baroque structure, transforming it into Classicist style. 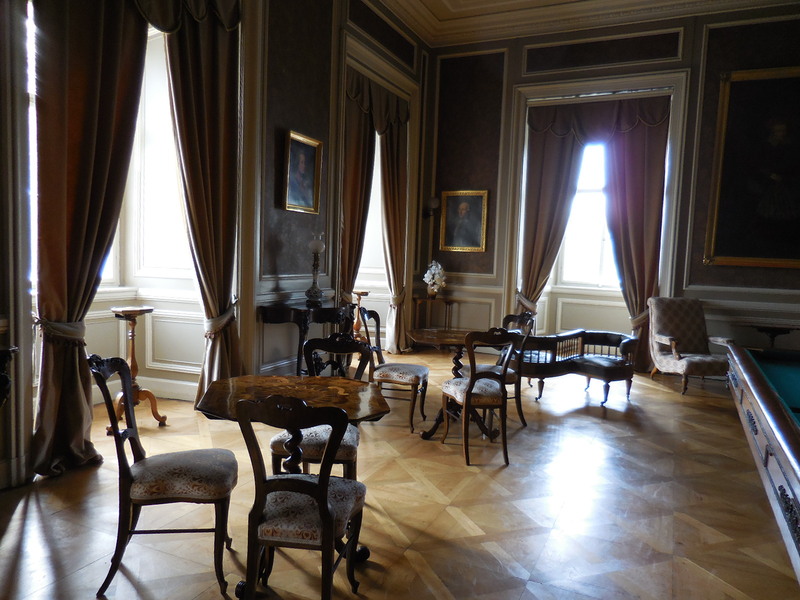 During 1834 and 1835 French King Charles X and his family resided there. The king had been forced to flee from France after the July Revolution in 1830, triggered by the four ordinances he put into effect. He began censoring the press, dissolved the newly elected chamber, made changes to the electoral system and demanded new elections in September of that year. First, journalists revolted and then many others joined them. 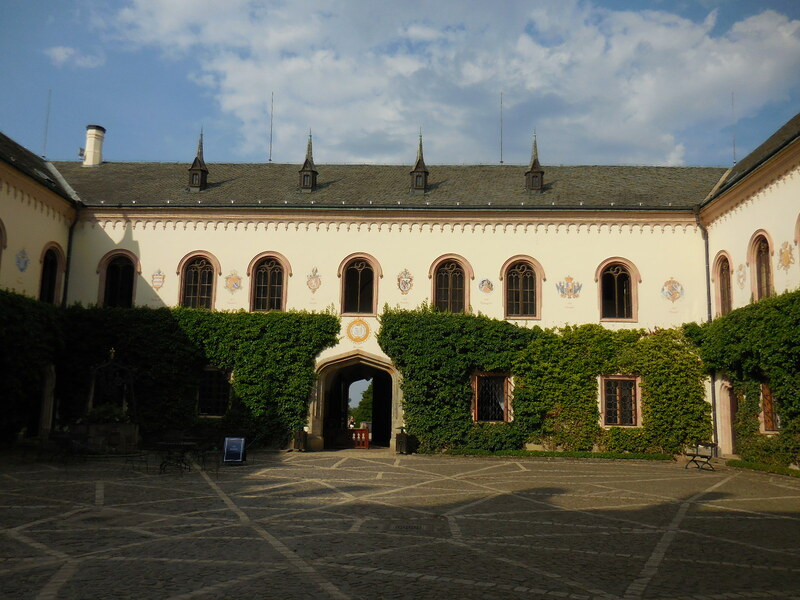 During the winter of 1832 and 1833, the king in exile lived in Prague Castle, a guest of Habsburg Emperor Francis I of Austria. He is buried in a family crypt at Kostanjevica Monastery in Nova Gorica, Slovenia. The chateau would undergo more changes. From 1847 to 1862, during the tenure of Kamil Josef Philip Idesbald Rohan, Sychrov became an architectural jewel in Neo-Gothic style, flaunting many romantic elements. In the 1850s the façade took on a Neo-Gothic appearance, and the two main chateau towers, the Austrian or Rohan Tower and the Brittany Tower, were built. 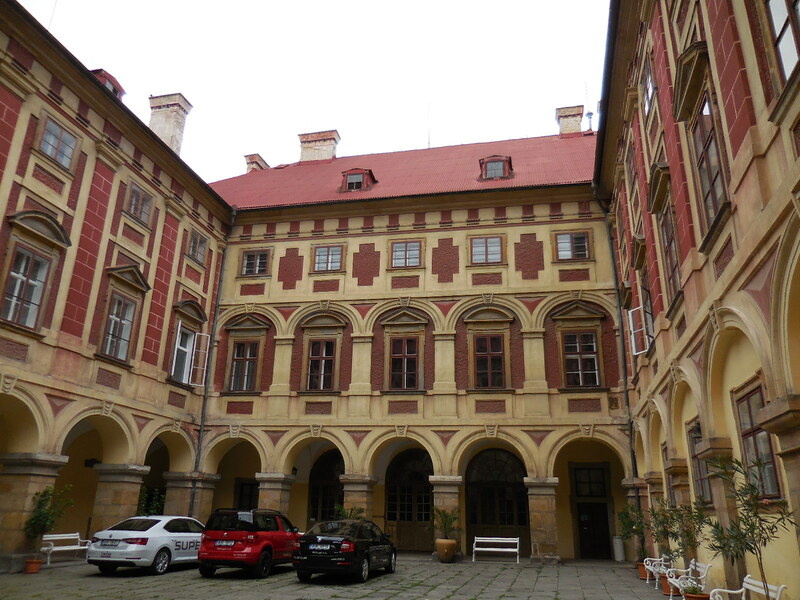 One of the architects responsible for the Neo-Gothic designs was Bernard Grueber, who had also worked his magic on Prague’s Old Town Hall, Orlík Chateau and Blatná Chateau. This period proved to be Sychrov’s golden age. 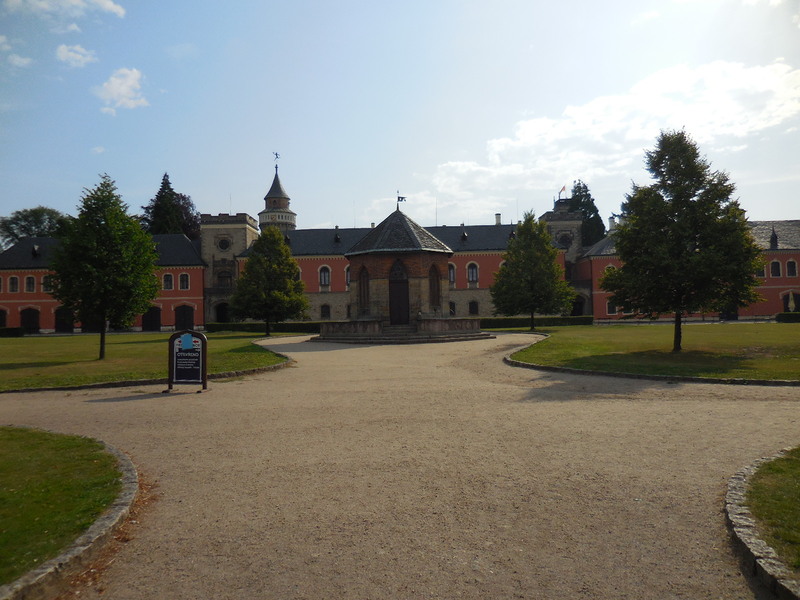 After this architectural transformation, Habsburg Emperor Franz Joseph I visited the chateau, and his son, Crown Prince Rudolf, stayed there twice. The last Rohan owners were Dr. Alain Rohan and his Austrian wife, Margarita. They had five daughters, one of whom died young. 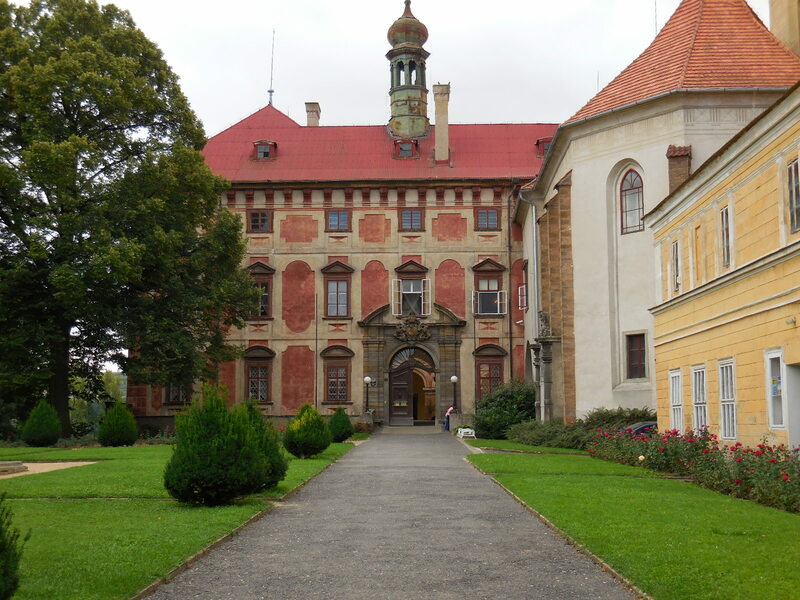 Because he had taken German citizenship, Dr. Alain Rohan lost the chateau, according to the Beneš’ decrees instigated by Czechoslovak President Edvard Beneš. I was fascinated by the tour guide’s tale of how the seven Rohan women fled from Sychrov. When the Russians came to the chateau, the seven Rohan women crawled on the floors, so the Russians would not see them. Then they fled one night to Prague. From Prague they continued to Austria. In 1945 Dr. Alain Rohan was arrested, and his wife Margarita was told that he was dead. But he wasn’t. In reality, he walked from Dresden to Austria. It sounded like a plot for a Dan Silva novel. 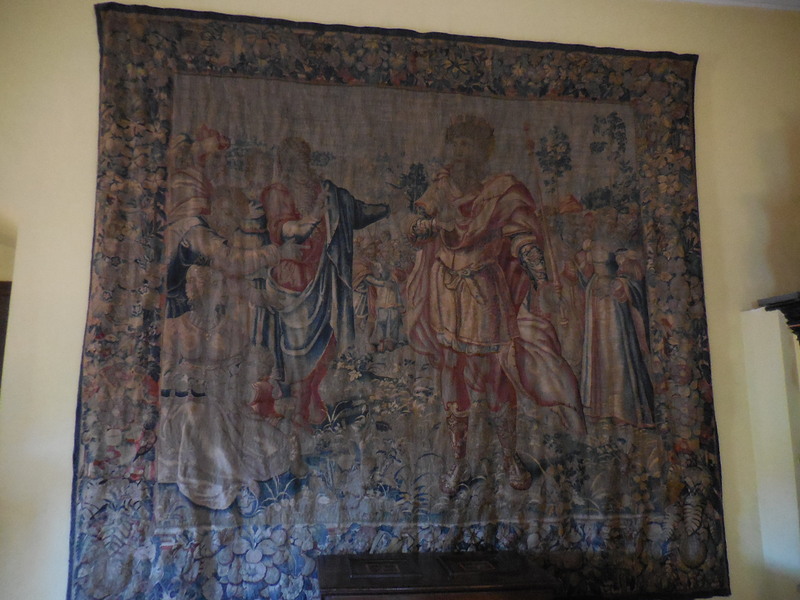 That same year the chateau was nationalized, and during 1950 six rooms were open to the public. More reconstruction took place later that century and during this century, too. Soon it was time for Tour B to begin. 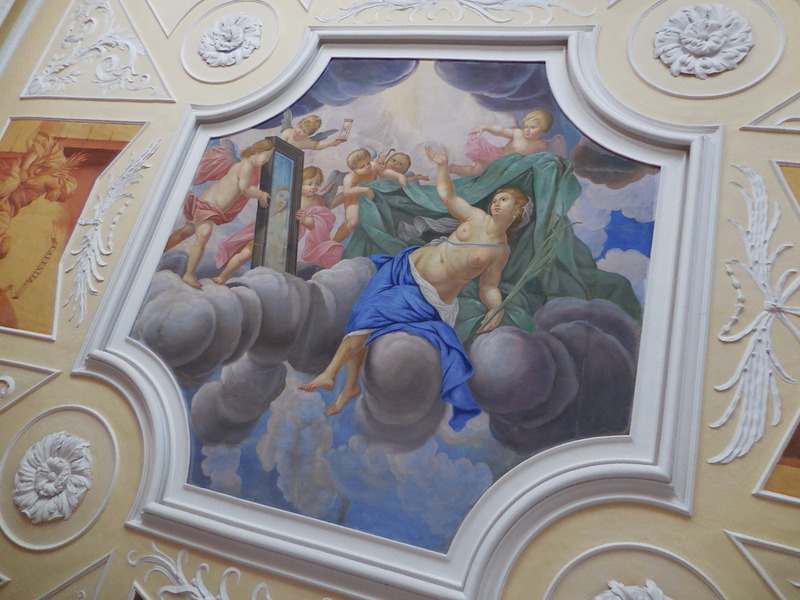 First, we entered the Assumption of the Virgin Chapel. 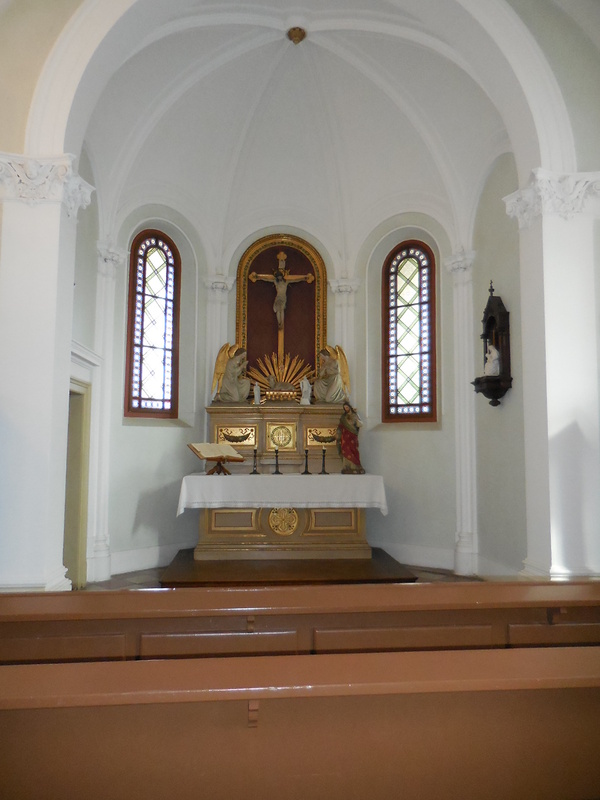 I was captivated by the main altar, made out of Carrara marble. Antonín Dvořák had played on the Neo-Gothic organ here. He often traveled to Sychrov to meet with his friend, the chateau’s caretaker. The pulpit was decorated with paintings of the four Evangelists and their attributes. The adornment of the stained glass windows focused on the life of the Virgin Mary. I noticed a rendering of the Annunciation in one window. 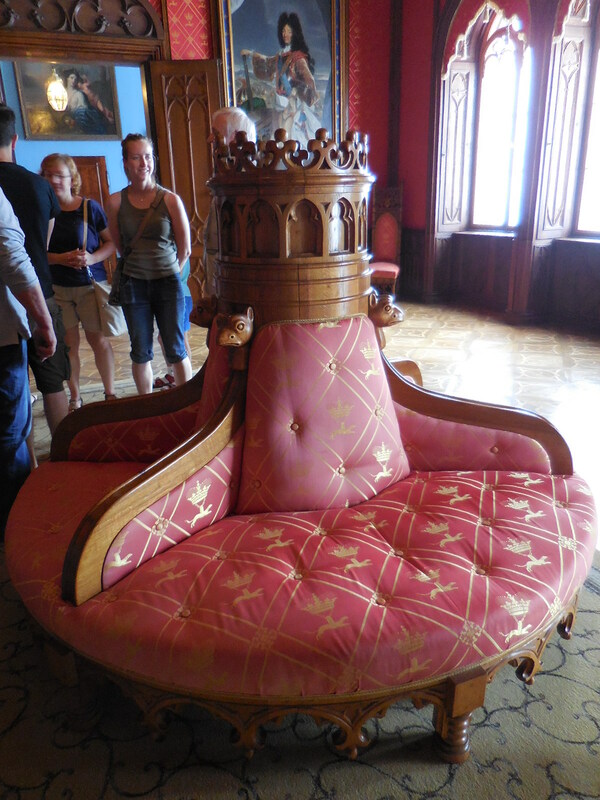 The exquisite benches were made by carver Petr Bušek, who spent almost 40 years decorating the chateau with wood paneling, wooden ceilings and wooden furniture pieces during the 19th century. 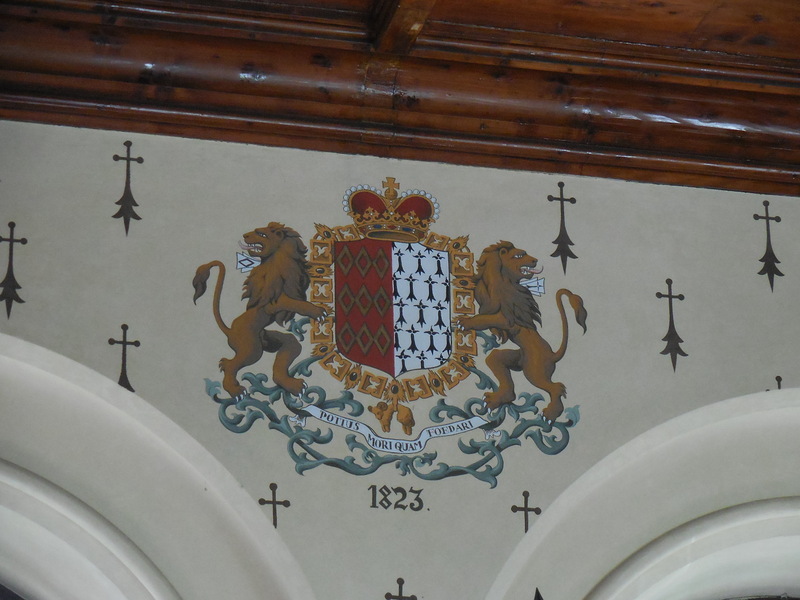 Also, two plaques commemorated the visits of Franz Joseph and Crown Prince Rudolf. We walked down a hallway where there were pictures of 19th century German soldiers in various uniforms. 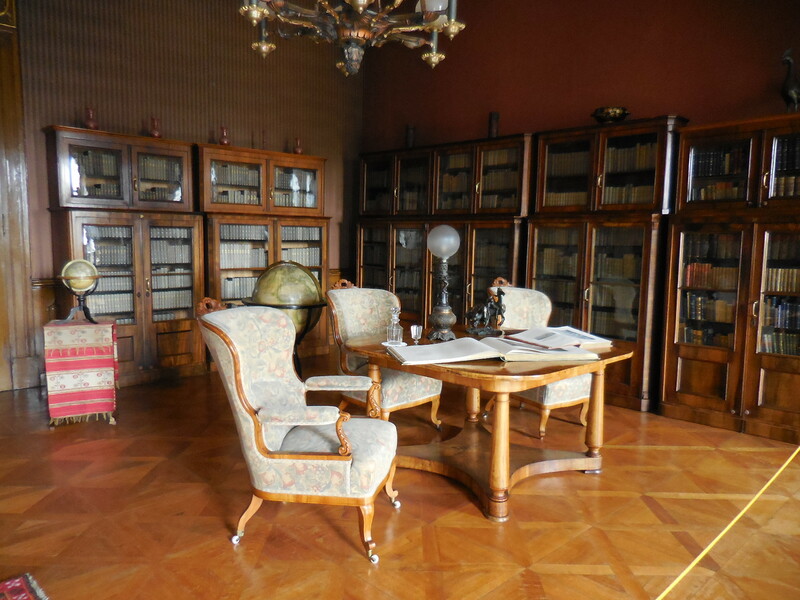 Then we entered a room filled with snapshots of the trips that Dr. Alain and Margarita had taken. I saw them on a ship, traveling from Milwaukee, Wisconsin to New York and I saw them in Egypt, India and Italy. I saw pictures of them on horseback and on the tennis court that once was in the chateau park. In another photo they were skiing. Then there were pictures of their five daughters, one of whom died young. In one photo the children were wearing masks, dressed in costumes while playing theatre. Five young girls were gathered on the roof of a cabin in a park. One photo showed a fat donkey named Muki. Yet there were not only pictures of the family in the room. When the family emerged from bad car accident unscathed, they wrote a thank you letter to the Pope. The Pope’s answer was on display. I liked the room decorated with photos of the family. The owners and their children were no longer only names listed in the history of the chateau. They were real people who enjoyed traveling, playing tennis and skiing. I saw pictures of the daughters, happy and content. When I looked at the pictures from their travels, I thought about the valuable insights I had gained while traveling and how the act of traveling had made me a better person – the experiences had helped me grow as a person. As I learn about a new place, I learn about myself, too. Another space was shaped like a Turkish tent. The Rohans collected military tents, armor and weapons. 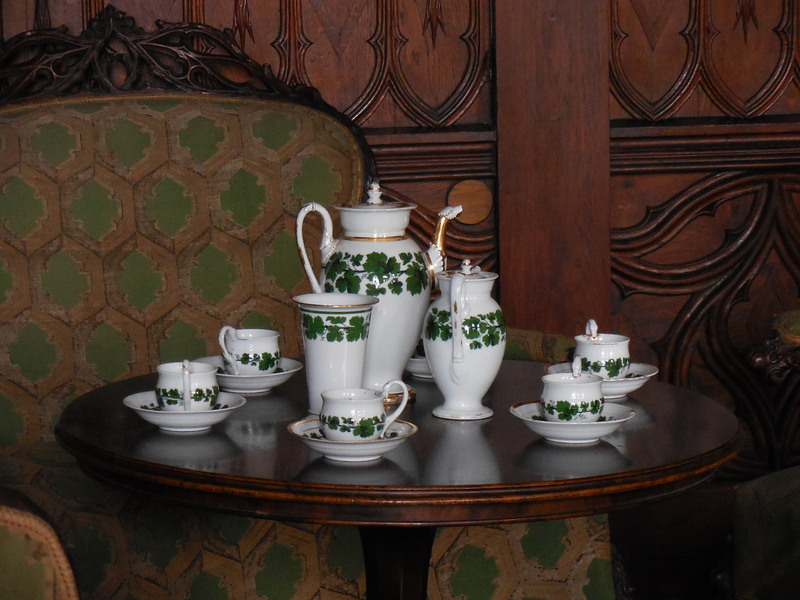 Pictures showed the area surrounding the chateau at the end of the 19th century and the interiors as they had looked during that time period. 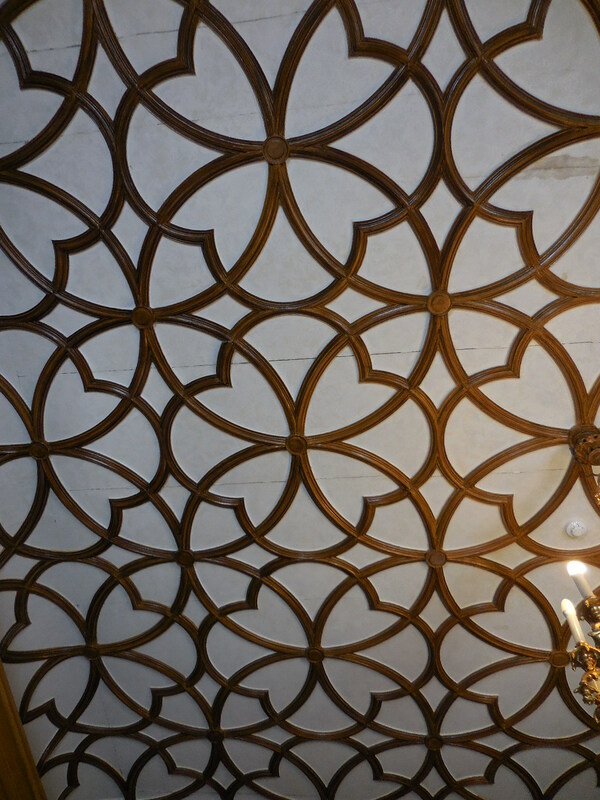 We entered a room with a staircase, and I was captivated by the richly decorated wooden ceiling, the masterful work of Petr Bušek. The hallway sported graphics of historical themes and mythology. 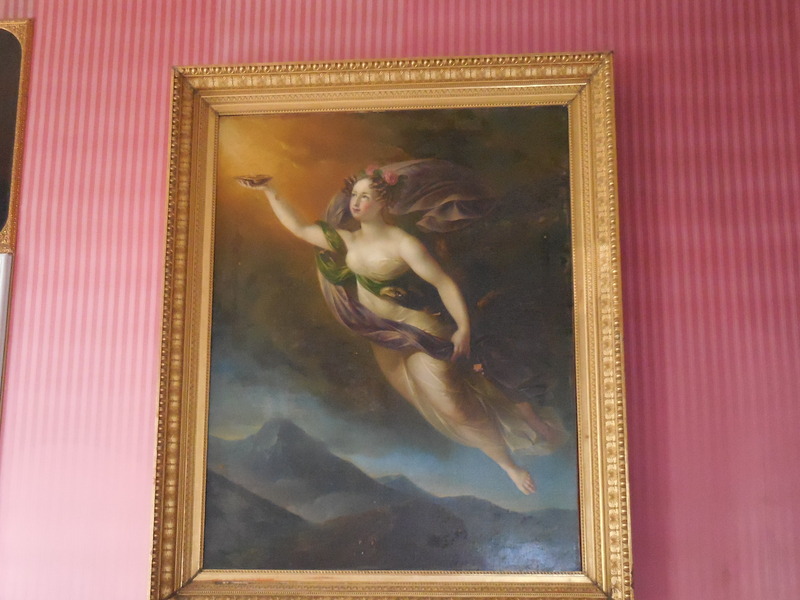 Next was Tour A, which depicted the chateau as it had been in the second half of the 19th century. We came to Staircase Hall with the impressive statue of Jindřich (Henri) from Rohan, armed with a sword, with one hand leaning on the scabbard, celebrating his military successes. He had a small, pointy beard and mustache. Then we got our first taste of the Rohan portrait gallery, which included 242 portraits of French origin, mostly of the Rohan family but also of French kings and queens. It was the biggest collection of French portrait painting in Central Europe. The first portraits were made in the 16th century. 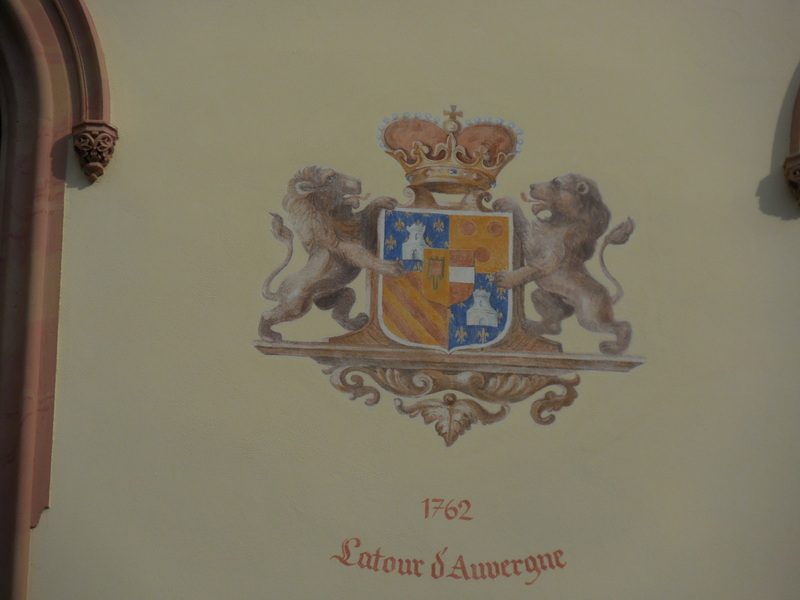 In the Royal Apartment reserved for guests, there were portraits of French kings. 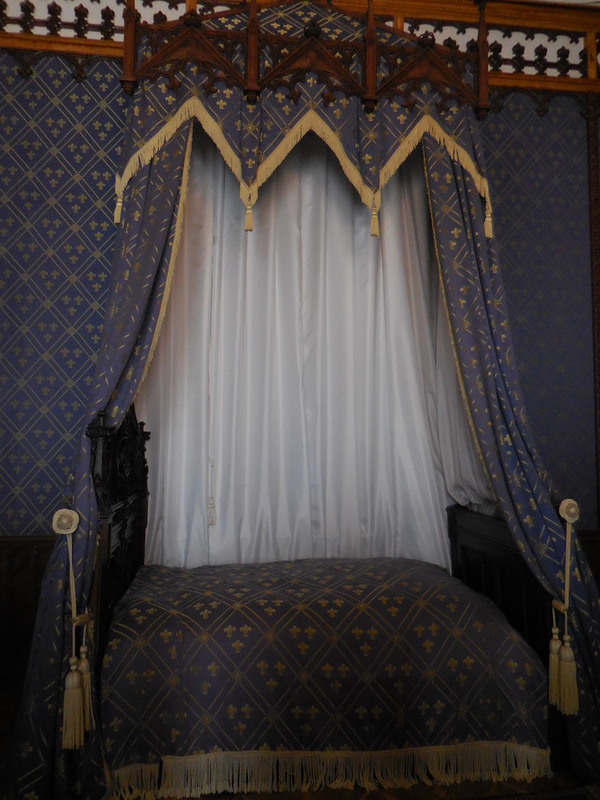 We also saw the Neo-Gothic bedroom where Emperor Franz Joseph and Crown Prince Rudolf had slept. The bed looked small. Kamil Rohan’s study focused on botany, one of his hobbies. 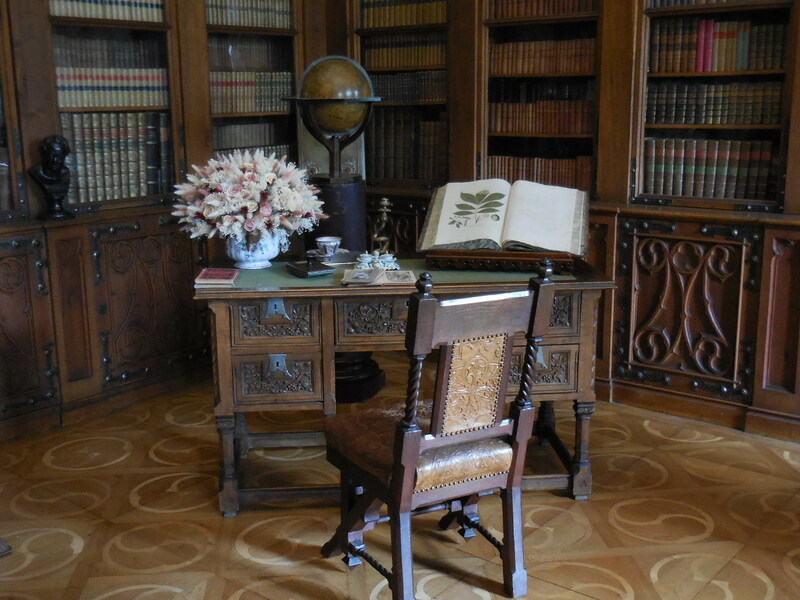 On his desk was a book about herbs, a globe and microscope. A large book about herbs from the first half of the 19th century was on a stand at one side of the room. The book contained handwritten drawings. I wished I could turn the pages and look at all the drawings closely. 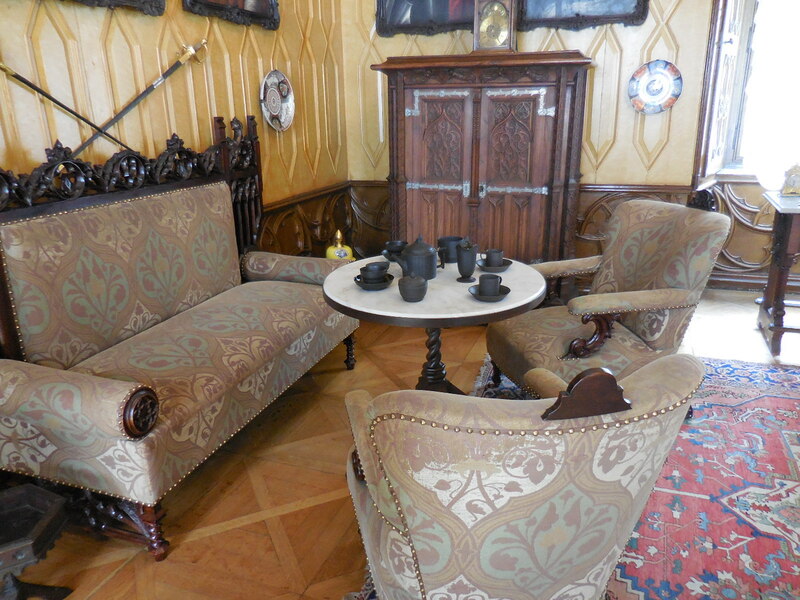 In the Yellow Salon, used for unofficial visits, three yellow vases got my attention. I loved the color yellow because it looked so cheerful. It reminded me of my mother, always the optimist. 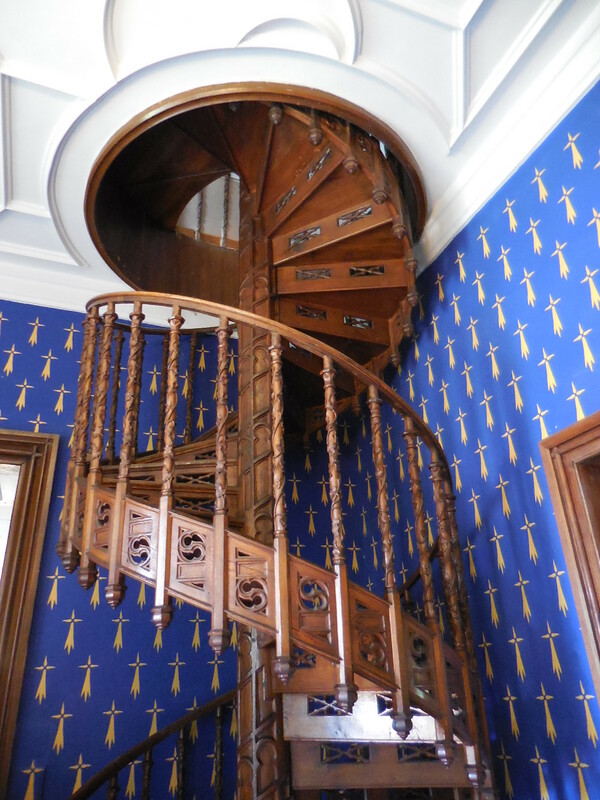 We saw a narrow, spiral wooden staircase with rich woodcarving designs by Bušek from the 1850s. 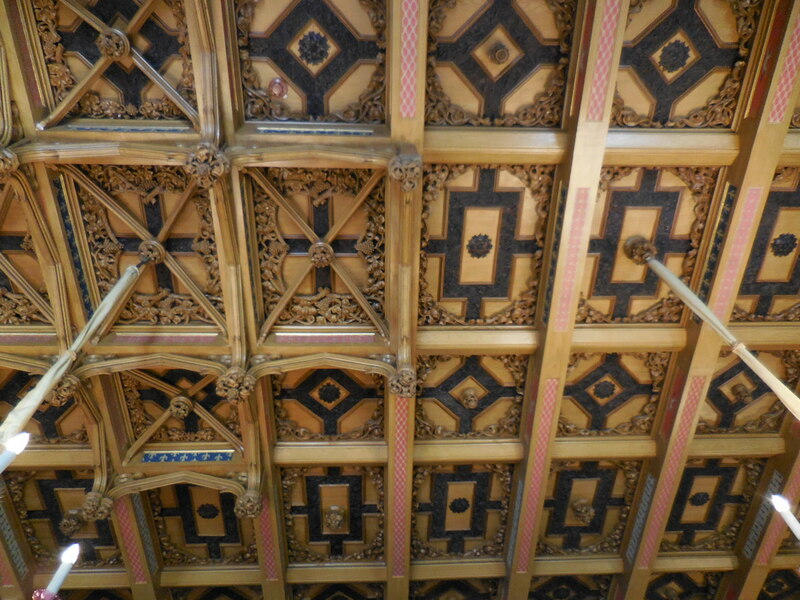 What masterful woodwork! It reminded me of the spiral staircase at Lednice Chateau, also Neo-Gothic in style, in south Moravia. 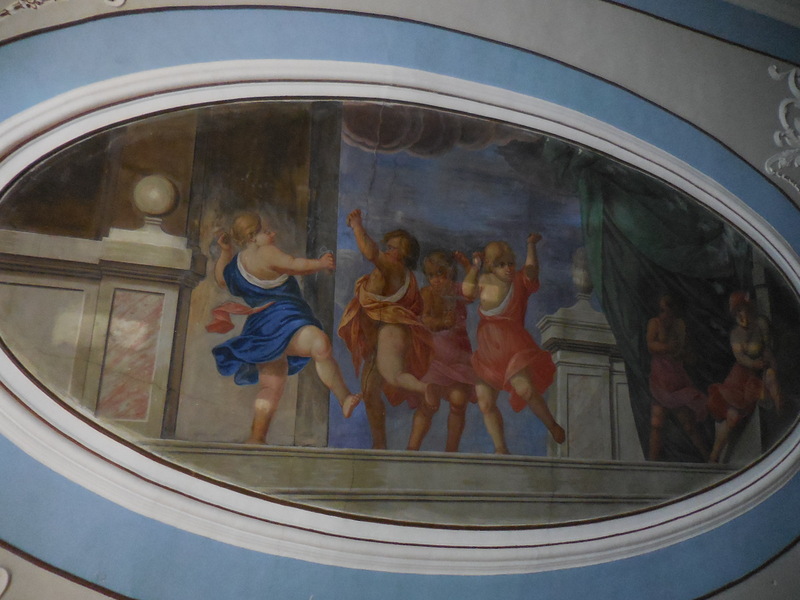 I also gazed at paintings of the Rohan ancestors from the Middle Ages. Because the Rohans did not know what these ancestors had looked like, Czech painter Karel Javůrek used his imagination when rendering the portraits. 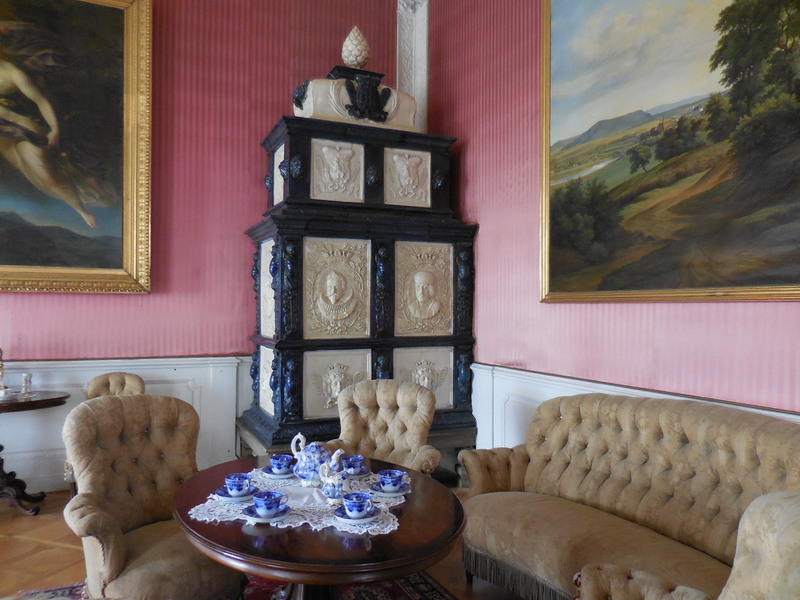 In the Blue Cabinet there were exquisite figures of Viennese and Meissen porcelain. 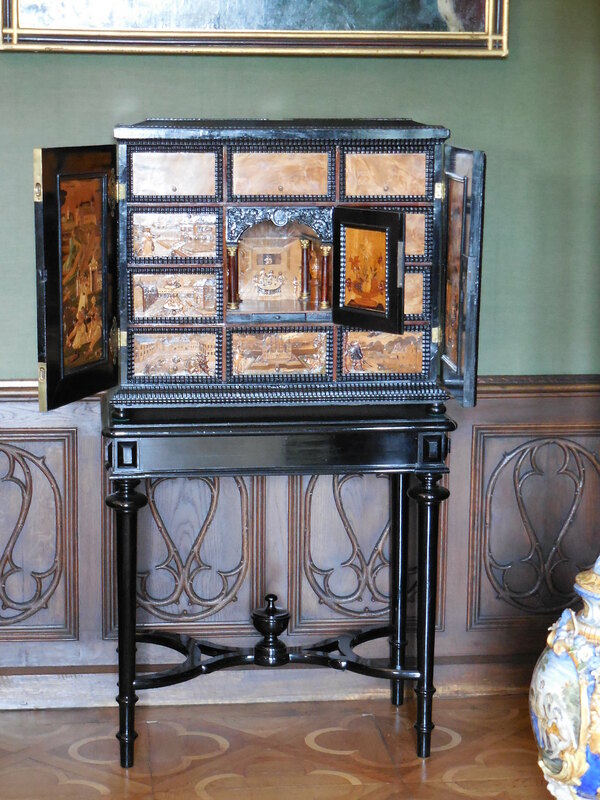 A black jewel chest with gemstones decorating the drawers got my attention, too. The Fireplace Room was impressive as was the Reception Room, which featured rich wood paneling and an impressive wooden ceiling. 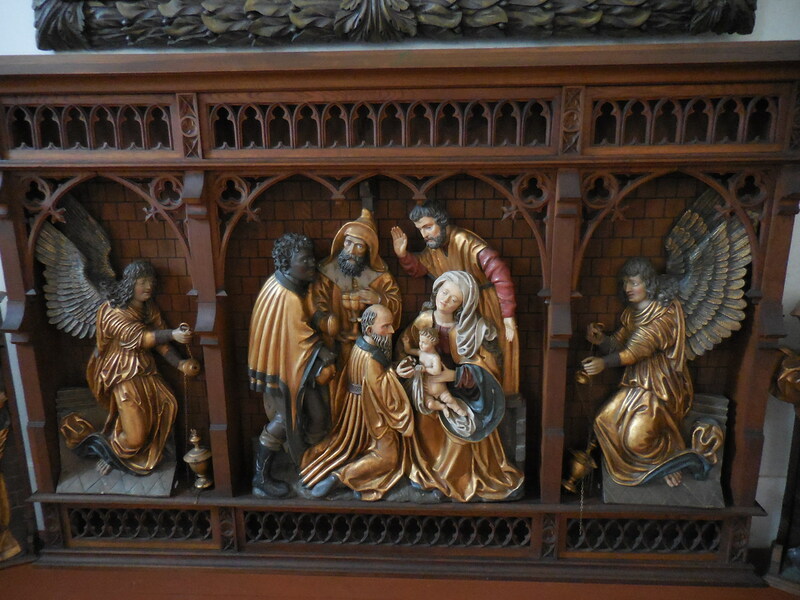 More impressive carving by Bušek! 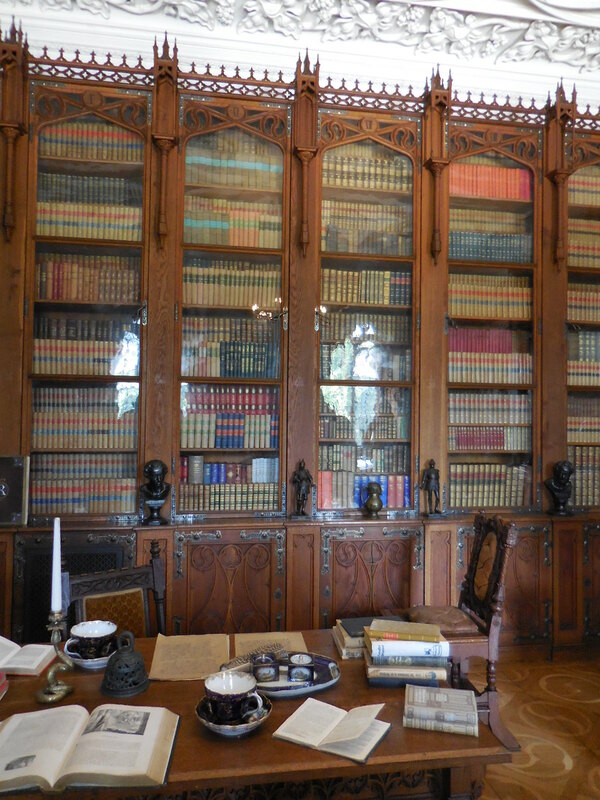 The library held about 7,000 books, including 1,614 prints dating before 1800 and a manuscript from the 15th century. A folding leather chair caught my eye, too. 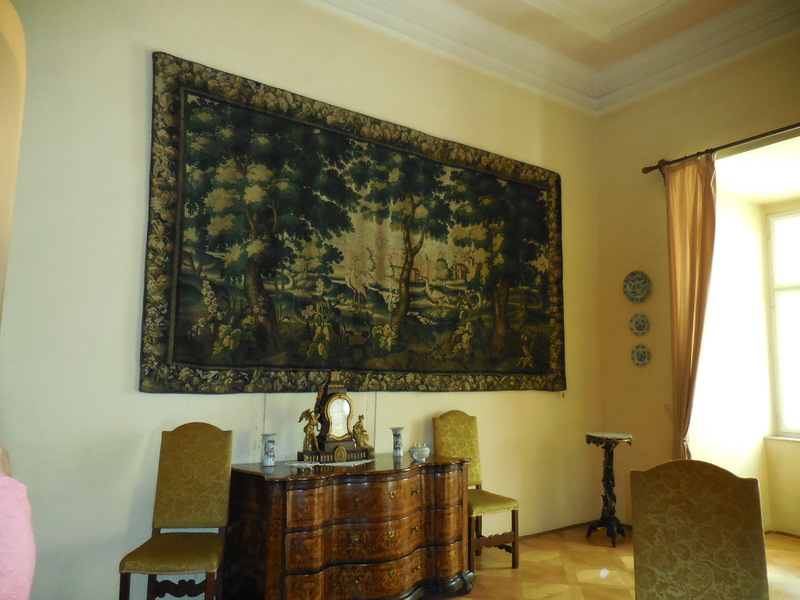 The Prague Salon featured authentic leather wallpaper. 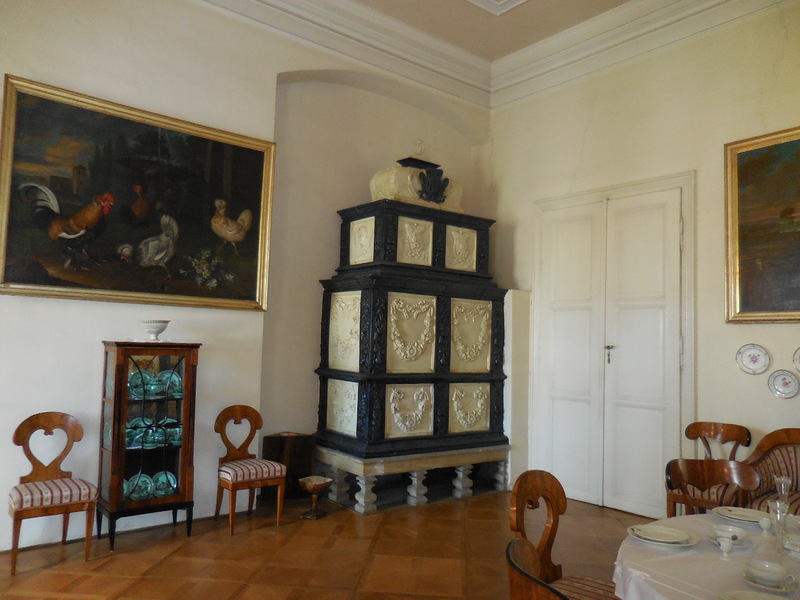 The Big Dining Room looked a bit like a Knights’ Hall from the Middle Ages. It featured large portraits of Rohan owners. In one portrait Kamil Rohan looked suspicious of the photographer. 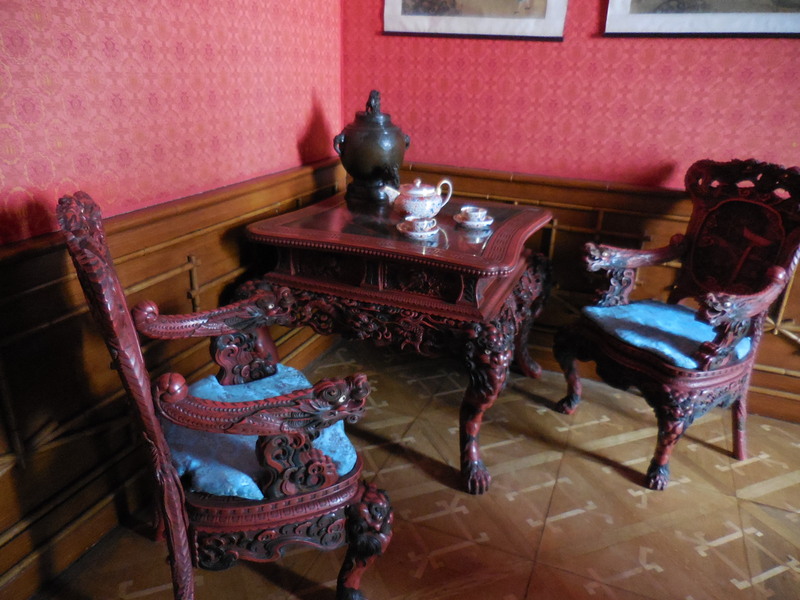 I loved the wooden chairs with the “R” gold monograms and richly decorated backs. After the tour I walked through the park and took a seat outside at the Neo-Renaissance Orangery, from which I gazed at the chateau and admired its two-arm monumental sandstone staircase. 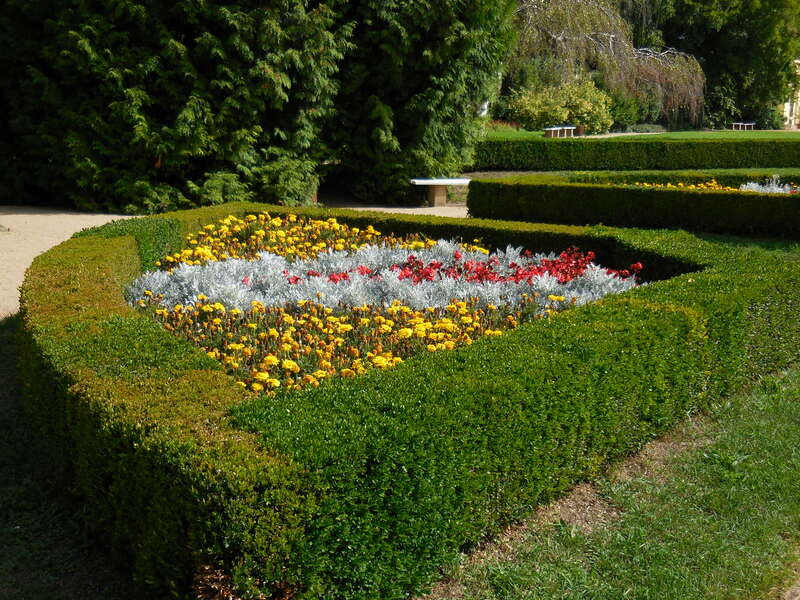 The park covered 26 hectares, and included many kinds of woody plants thanks to Kamil Rohan and his interest in botany. The many kind of trees included Dawn Redwood and oak-leaf beech. I had a piece of tasty cake and a cup of cappuccino. I reflected on how enriched my life had been thanks to travel and how grateful I was to have the opportunity to travel. In my mind I saw the photos of the Rohan family on their trips and wondered how travel had enriched their lives. I had lunch in the chateau restaurant, sitting outside on such a sunny day. Then it was time to head back to Liberec, where I would get a bus to Prague. Sychrov had more than lived up to my expectations. I felt as if I had personally known Dr. Alain Rohan and his family thanks to the snapshots. 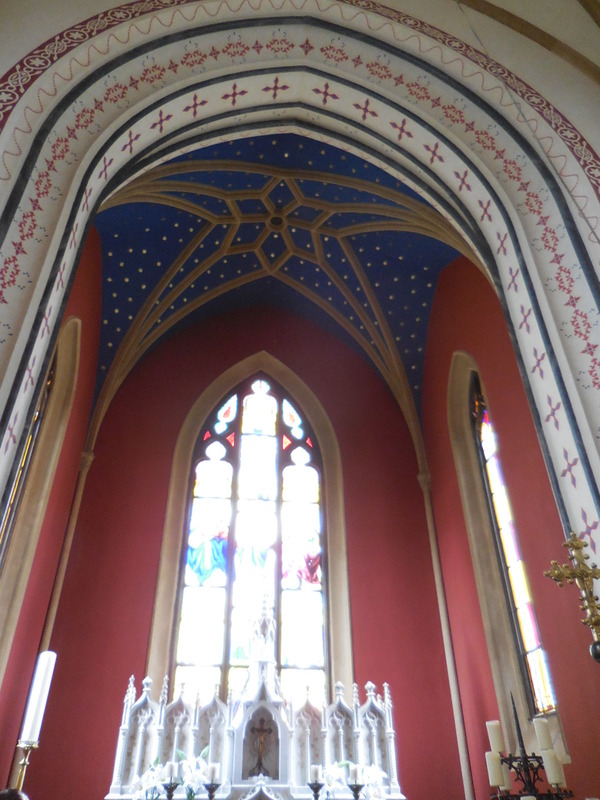 The Neo-Gothic façade and interiors did not disappoint, either. What a skilled craftsman Petr Bušek had been! 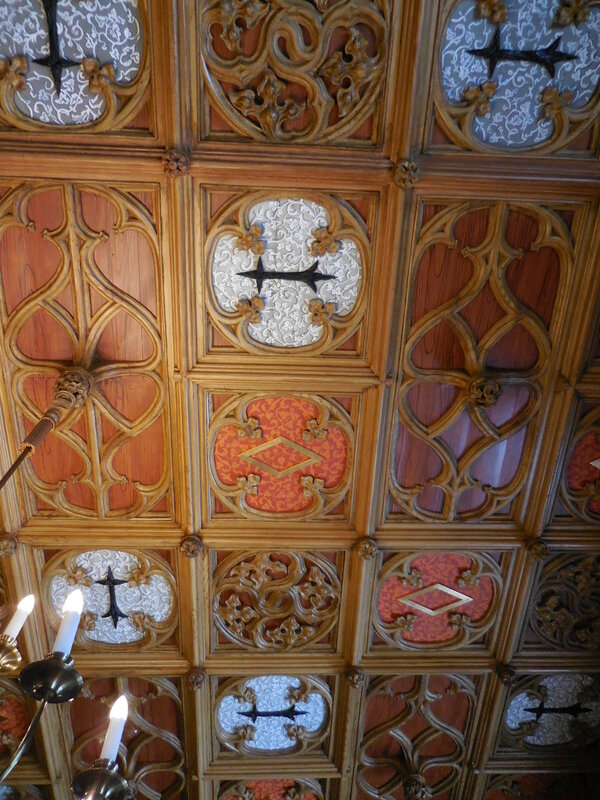 I loved the woodwork, especially the wooden ceilings and wood paneling. Again, it reminded me of Lednice Chateau, also one of my all-time favorites. Sychrov was certainly one of the most impressive chateaus I had seen. When I finished touring the Bozkov Dolomite Cave (Bozkovské dolomitové jeskyně), I had achieved my goal: I had finally visited all 14 caves accessible to the public in the country. 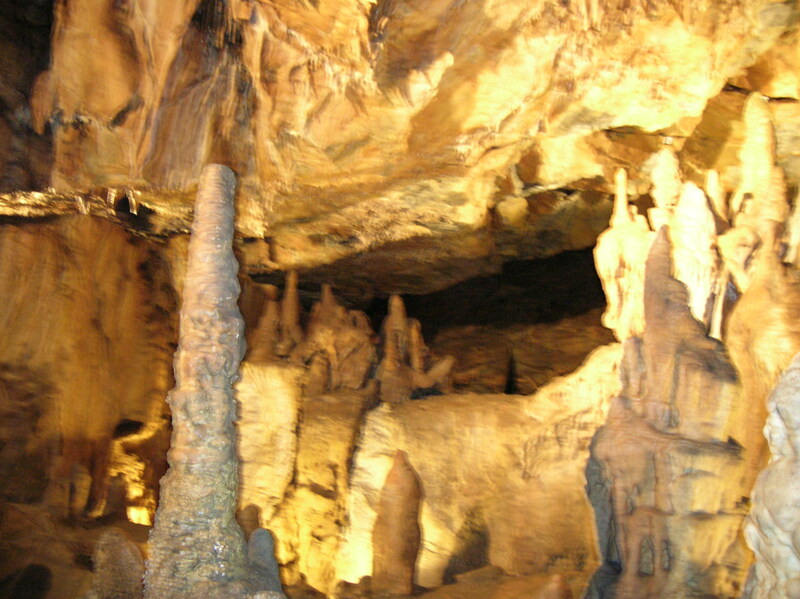 The plethora of caves fascinated me with rich stalagmite and stalactite decoration, often taking grotesque forms in an Alice in Wonderland type of setting. Breathtaking rock formations resembled waterfalls, castle ruins and owls, for example. 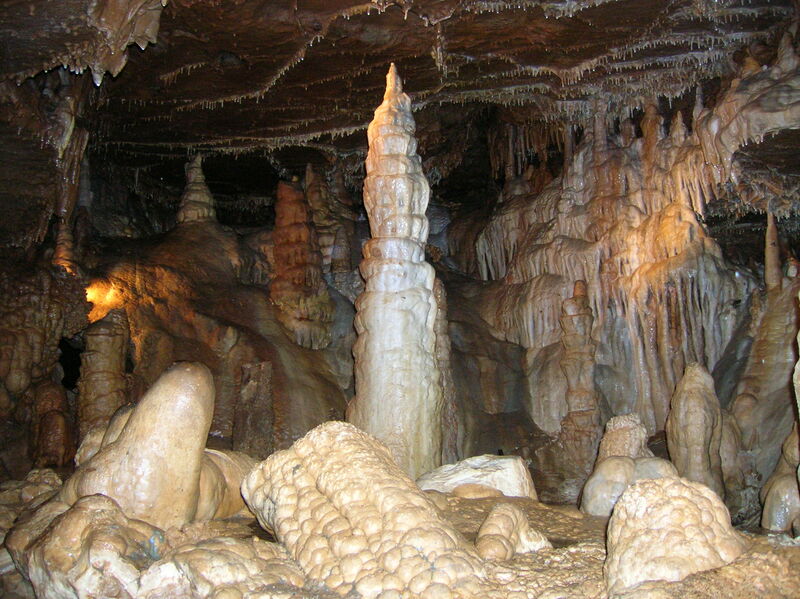 There are almost 3,500 caves in the Czech Republic. While not all of them excited me, in many cases, it was well worth exploring the depths that whisper about the long-ago past and even contain remains of prehistoric man. 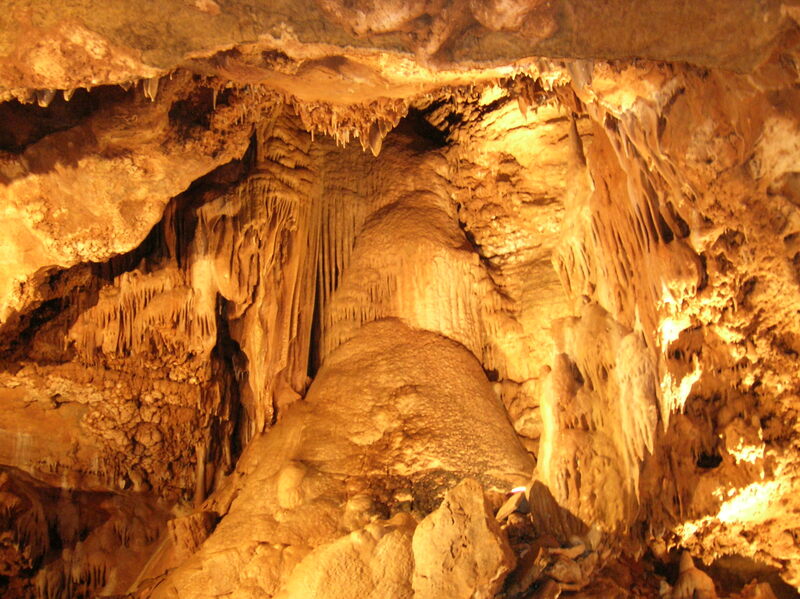 First, a little cave vocabulary is in order: stalactites hang down from the roof of a cave, while stalagmites point upwards from the floor of a cave. I have visited the Punkva Caves (Punkevní jeskyně)in the southern Moravian Karst region twice, once way back in 1992 and again in 2008. 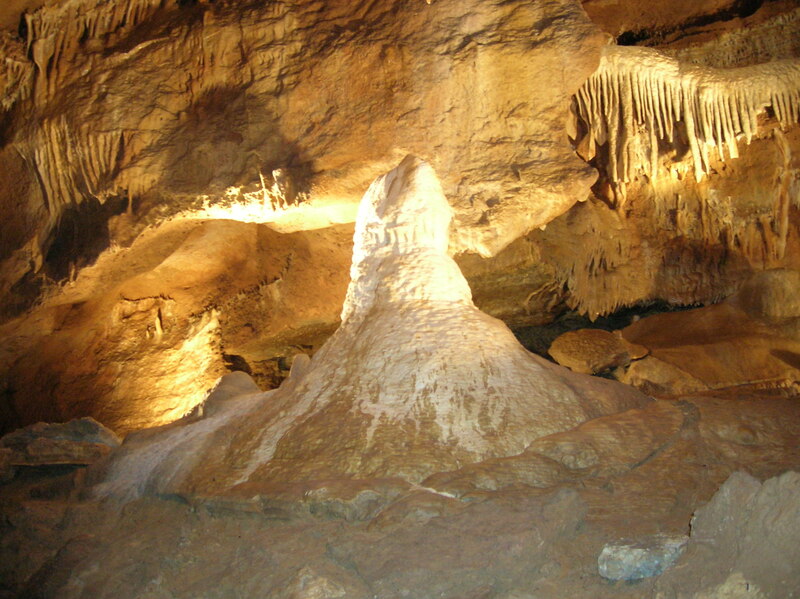 (The Moravian Karst region is known for its breathtaking caves. 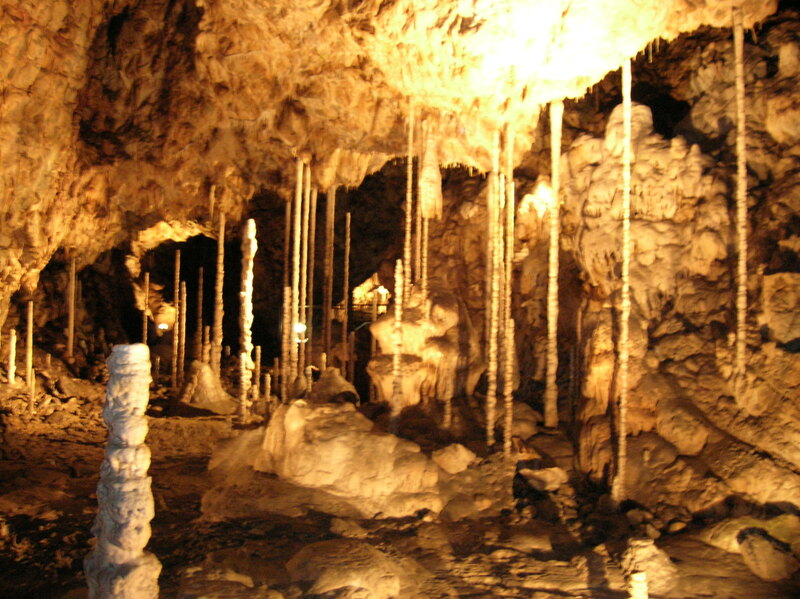 There are about 1,100 caves in the area, but only five are open to the public.) The first time I went to the Punkva Caves a friend drove me. For the second visit I took the train from Brno to Blansko (a short trip) and then took a bus to the information center near the caves. Back in the early 1990s, it wasn’t necessary to make a reservation in advance, and tickets were sold at a small kiosk. Now it is essential for visitors to make a reservation. 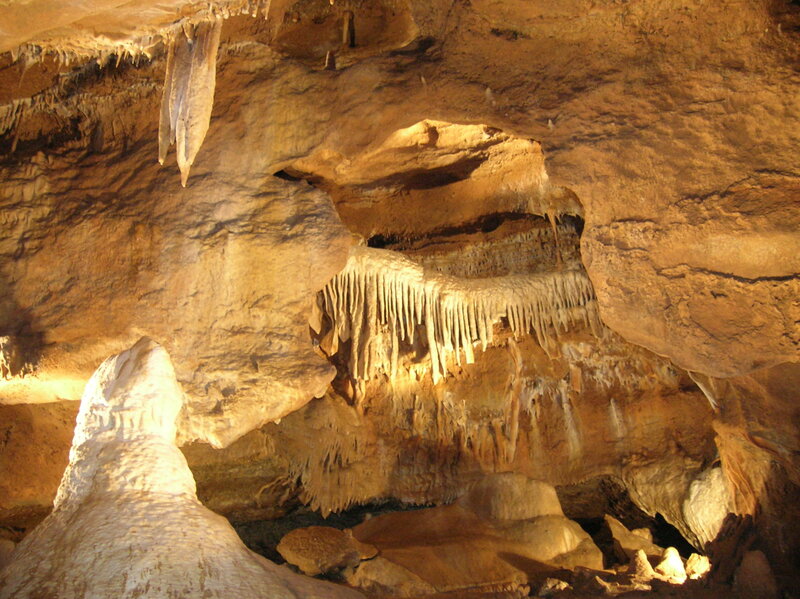 These caves are the most popular in the country. They are mentioned in many guide books and swamped with tourists from around the world. Discovered between 1909 and 1933, the Punkva Caves took me to the bottom of the Stepmother Abyss (Macocha), from which I felt the power and strength of the chasm, as if I was being swallowed up by its size. Not only did I see stunning ornamentation, but I also enjoyed a magical motorboat ride through the Masaryk Cave and others. 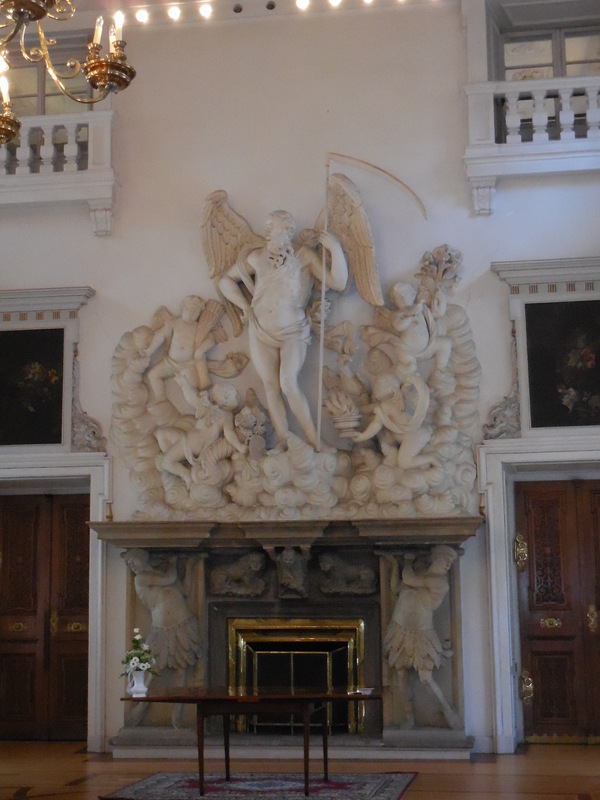 To be sure, fairy tale settings and grotesque shapes abound. Some of my favorite moments during the hour-long tour include the decoration of the wall of the Front Cave; the stalagmites and stalactites in the Mirrored Lake boasting Two Owls, A Castle on a Cliff and a Turkish Minaret, and the fantastic decoration of the Angel’s Cave. 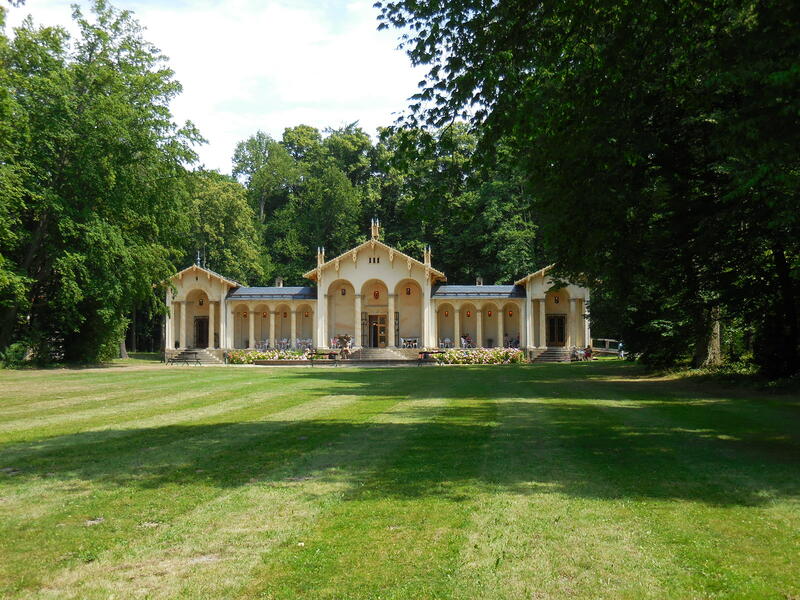 Located near the Punkva Caves is Kateřina’s Cave (Kateřinská jeskyně), a short distance from the information center that hadn’t been there when I first visited the area in 1992. The 45-minute tour covers 430 meters. The name of the cave comes from a legend that enthralled me: The shepherd Kateřina entered the cave looking for one of her sheep that had gone astray. Unfortunately, she got lost and never saw daylight again. At the beginning of the tour, I learned that the Main Dome is the biggest publicly accessible natural underground space in the country; concerts are even held there, the guide informed our group. In this space I felt swallowed up by its vastness just as I did in the Stepmother Abyss. 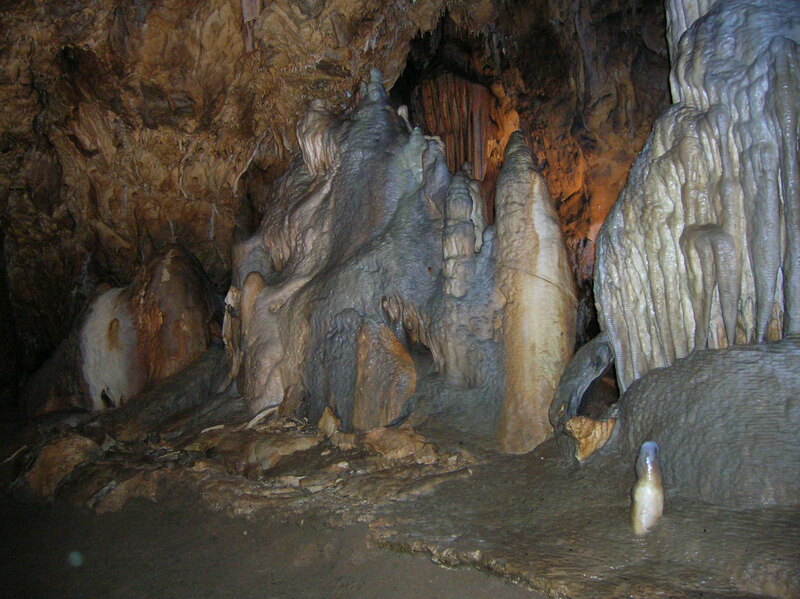 Some shapes of intriguing stalagmites that I saw included Two Owls and The Shepherd Kateřina. I noticed many exquisite, tall stalagmites and stalactites, especially in the part of the cave nicknamed the Bamboo Forest. 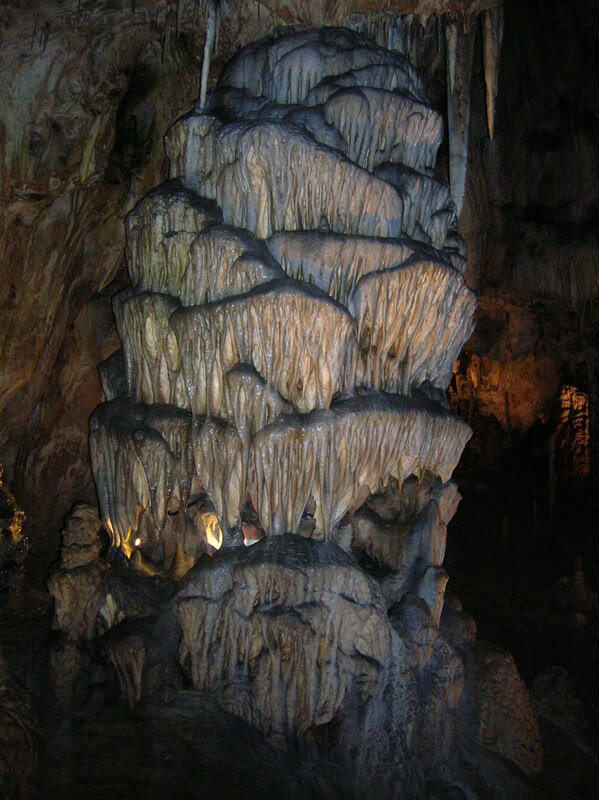 I especially liked one formation, in which stalactites appear as an angry storm cloud with claws. 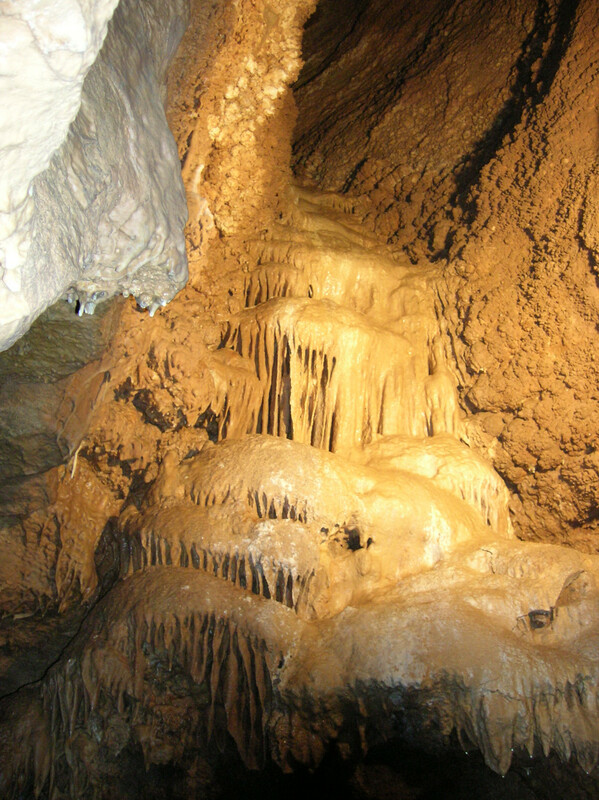 Not far, in the same region of southern Moravia, are the Sloup-šošůvka Caves (Sloupsko-šošůvské jeskyně). I took a bus there from Blansko; they run every hour. The bus dropped me off 200 meters from the cave itself. The short tour covers 890 meters, while the long tour covers 1,670 meters. The total length of the underground corridors reaches 4,200 meters. Of course, I took the long tour. I was fascinated that remains of Neanderthal man have been unearthed there. I crossed a bridge that allowed me to gaze to the bottom of Nagel Chasm, 80 meters in depth. That was something to remember! 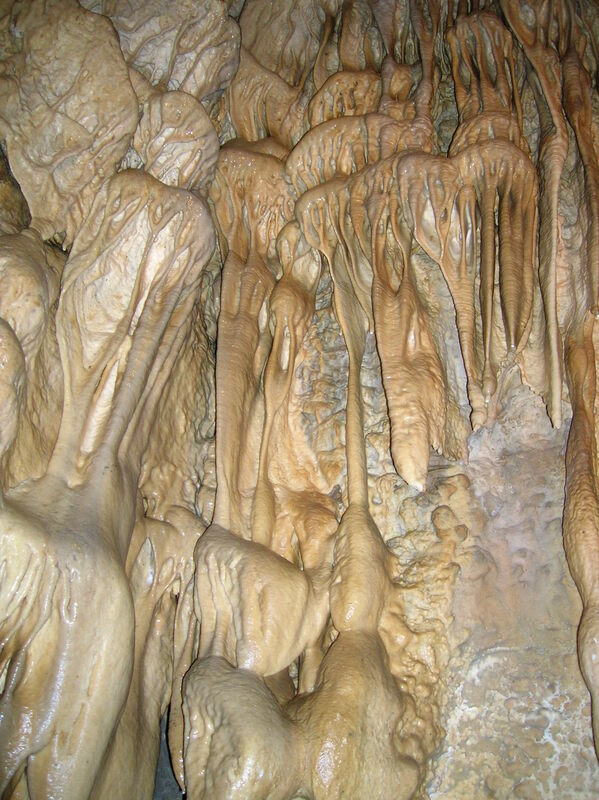 Some of the decoration that awed me included the rich ornamentation of the stalactites in the Gallery and a four-meter high formation called the Waterfall. I also saw cave bear bones, and a vertical abyss that is 64 meters deep. In the Big Three Hall three huge stalagmites resemble a snow mountain, a waterfall and a fortress. I also imagined shapes of a spiraled totem pole and a spiraled tower as well as a gigantic top hat and swords stuck firmly in the cave floor. 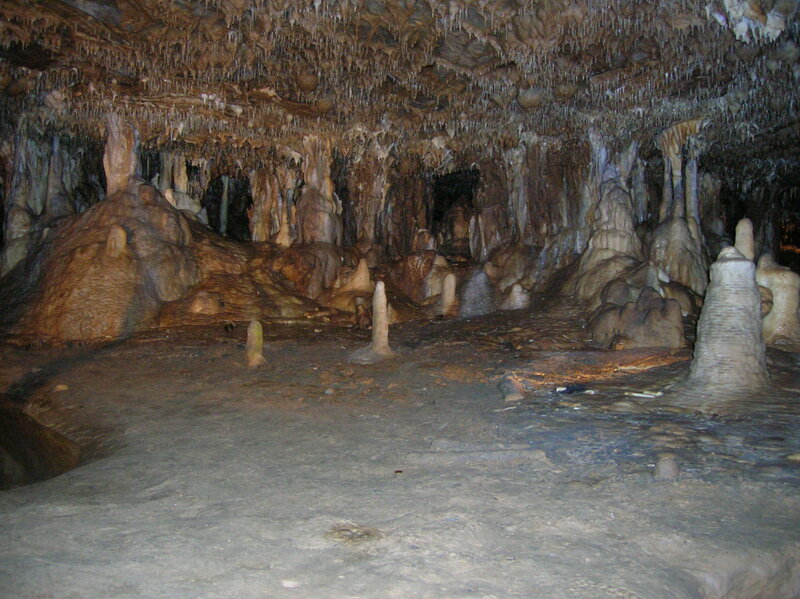 Also nearby in the southern Moravian Karst region, the Balcarka Cave (Jeskyně Balcarka) features two floors of unique stalactite and stalagmite decoration, such as that exhibited in the Gallery. 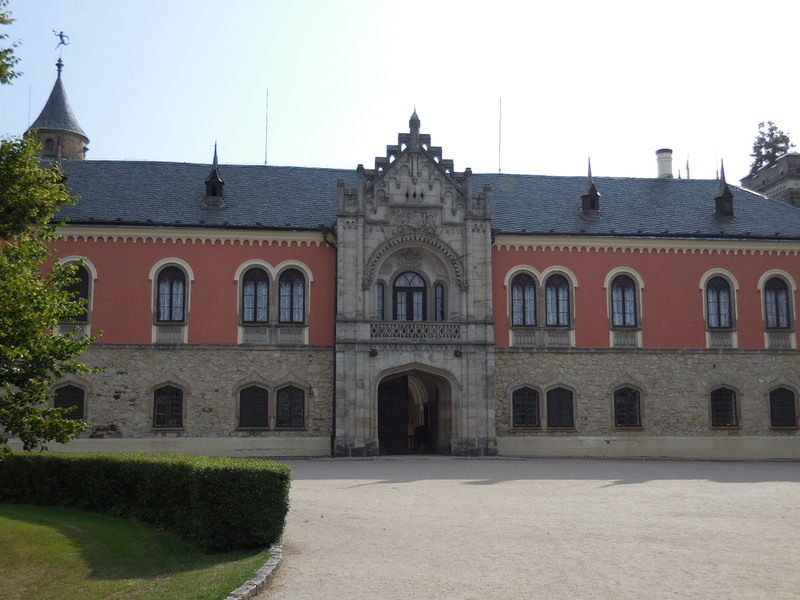 Since I did not have a car, I could not combine this visit with my trip to the Sloup-šošůvka Caves, even though the two are not that far apart. I went by bus from Blansko to Ostrov u Macochy. Buses ran every hour, so I did not have to wait long. I was in awe that stone and bone instruments dating back to the Stone Age as well as bones of Pleistocene animals have been discovered there. One shape in the cave looked like an elderly hand with knobby, long fingers pointing downward, as if it was about to gently touch something. Shapes similar to ruined castles and towers fascinated me as well. 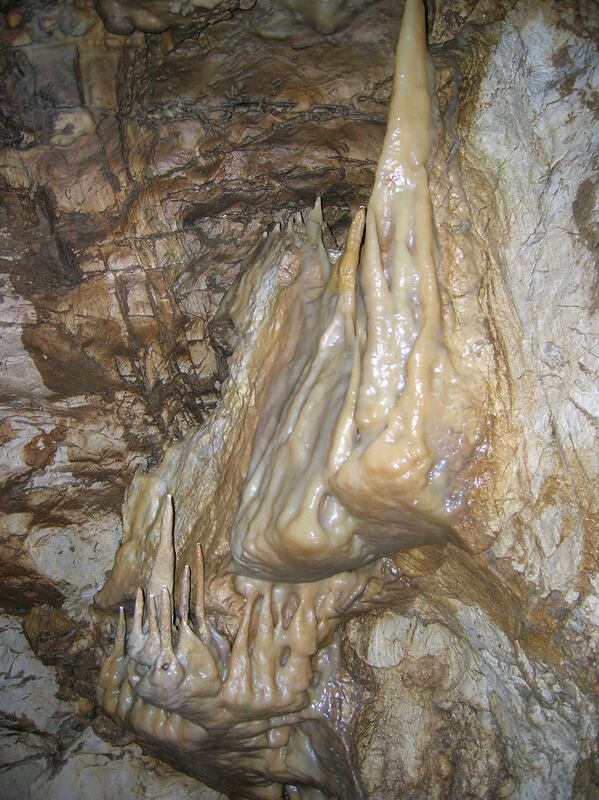 Some lumpy forms reached out with tentacles to touch the stalactite quills above. Other ornamentation took on the appearance of a spiraling tower with a steeple on top. 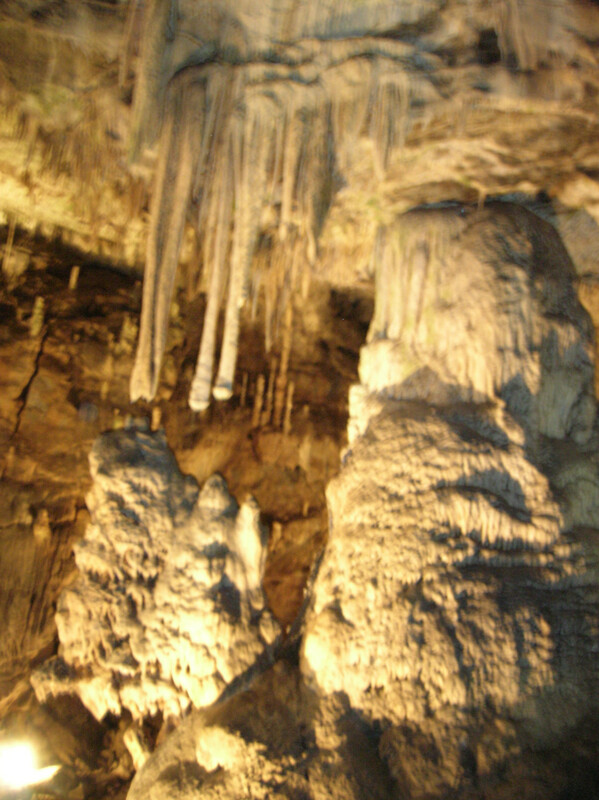 I saw many fragile-looking stalactites hanging from the roof of the caves, too. As fascinating as the Punkva Caves are the Javoříčko Caves (Javoříčské jeskyně) near Litovel and Olomouc in central Moravia. Discovered in 1938, these caves boast some of the most exquisite stalactite and stalagmite decoration in the Czech Republic. In all, 788 meters are accessible to the public. Visitors can choose from a 40-minute or 60-minute tour. The short route takes one 450 meters, while the long one covers all 788 meters. I chose the 60-minute version. Perhaps this system of caves is the most grotesque, appearing to be part of a horrific fairy tale filled with monsters. 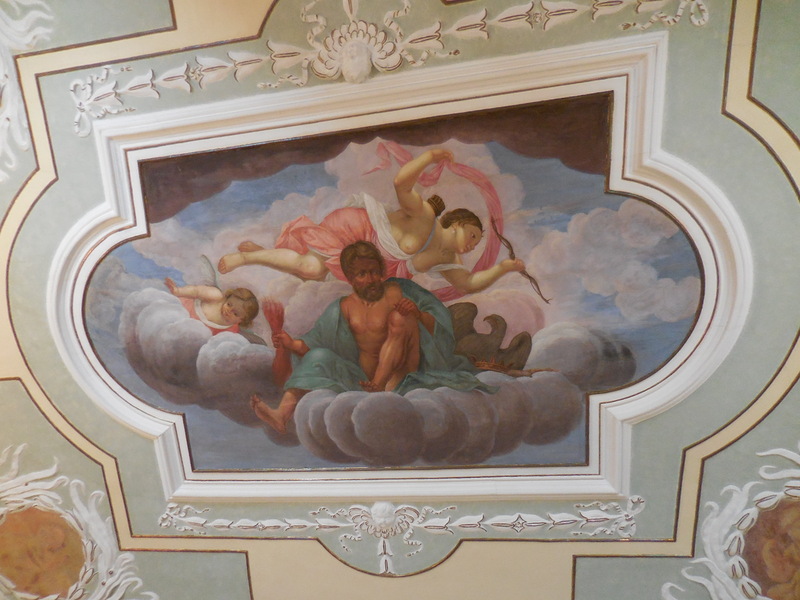 Yet it was difficult to get to; I went by car from Olomouc, the historic town where I was staying. I could not find any suitable public transportation. 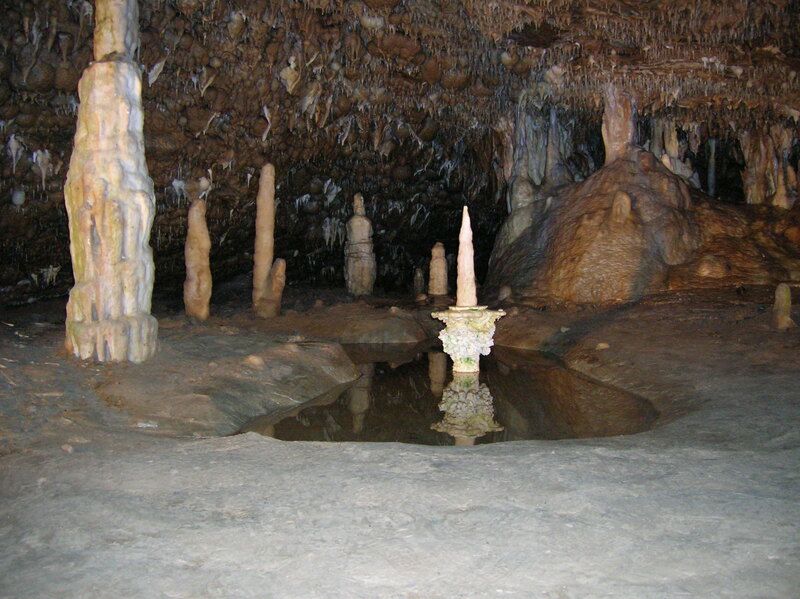 Some intriguing formations featured a stalagmite shaped as a pagoda, with what appeared to be a Rococo doll seated on it. Pastel colored limestone spikes took on the appearance of waterfalls, named Niagara Falls and the Falls of the Elbe. The Curtain, which appeared to be fringed with lace and measured more than two meters in length, fascinated me the most. It looked as if the curtain was almost flapping, captured in a single moment. Crystallizing calcite surfaces made up the lace while the red tint came from ferrous compounds. The Sacred Hole has a spellbinding history. Banned religious groups used to gather there in the Middle Ages; I saw black stains on the ceiling that had resulted from torch smoke. 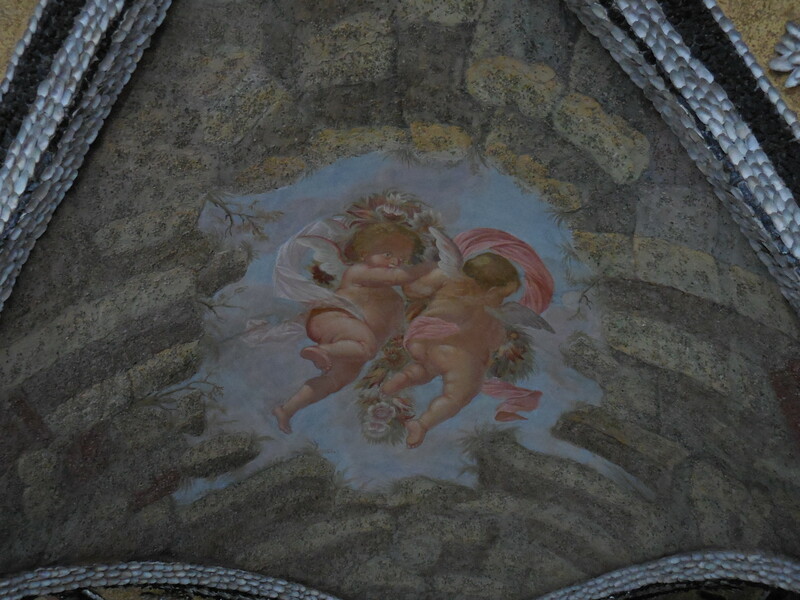 The most beautiful decoration I saw, though, was in the Scree Dome and the Dome of Giants. The Scree Dome featured a unique-shaped mound sprinkled with what looked like white icing or virgin snow. 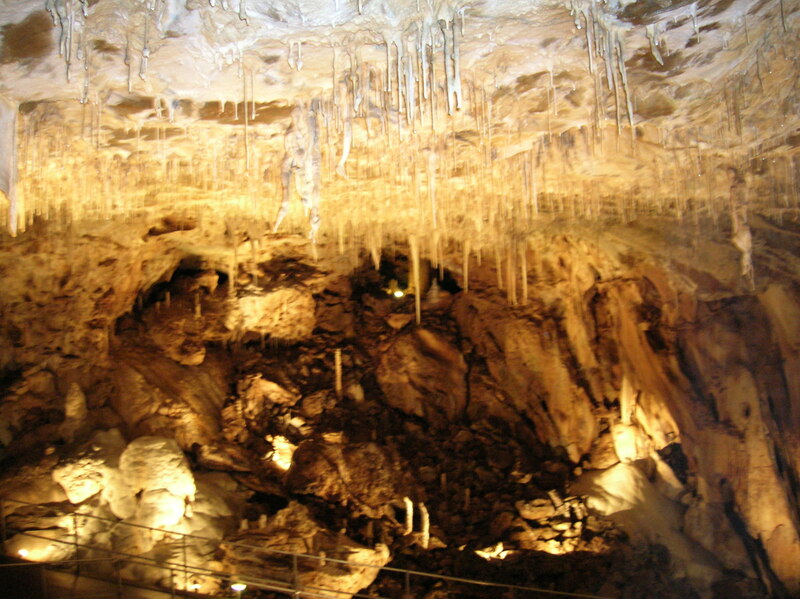 The breathtaking ceiling was a composite of fragile, thin exquisite stalactite spikes. 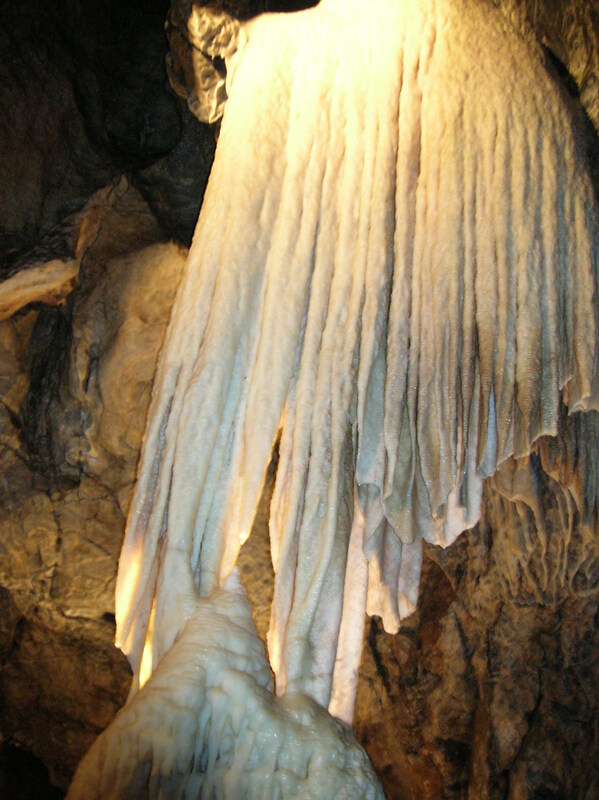 In the Fairy Tale Cave there was even more astounding decoration of stalactites pointing down from the ceiling. In the Dome of Giants one shape looked like a monster with a multi-layered crown on his head. Another formation I liked featured stalactites hanging from the roof, looking like a cloud with droplets of rain frozen in the sky. One more intriguing characteristic about these caves is that some stalactites and stalagmites called heliotites grow against the laws of gravity. 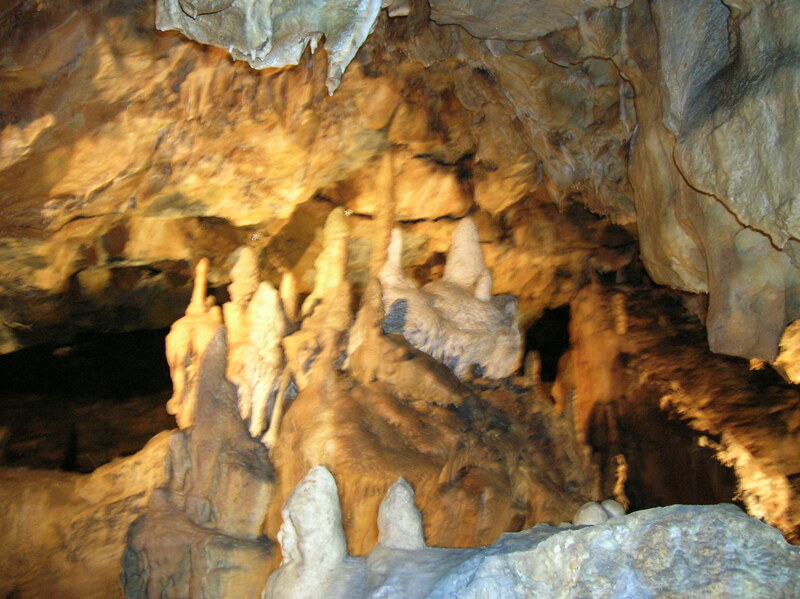 The Mladeč Caves (Mladečské jeskyně) are also located near Olomouc, not far from the Javoříčko Caves. I went by car the same day I visited the Javoříčko Caves. It was not easy to get to these caves, either, and I was there on a weekend, which made it even more complicated to go by public transportation. Remains of prehistoric man have been found here, including many skeletons of people from the Early Stone Age. I saw skeletal-like formations in the Cave of the Dead while Nature’s Temple was dominated by what looks like it was once a shimmering white waterfall. In the Virgin Cave the shapes took on forms of hills with towers and castle ruins. One figure that impressed me looked like a mummy. The Koněprusy Caves (Koněpruské jeskyně), only an hour or so from Prague and seven kilometers from Beroun, boast the largest system of caves in Bohemia. 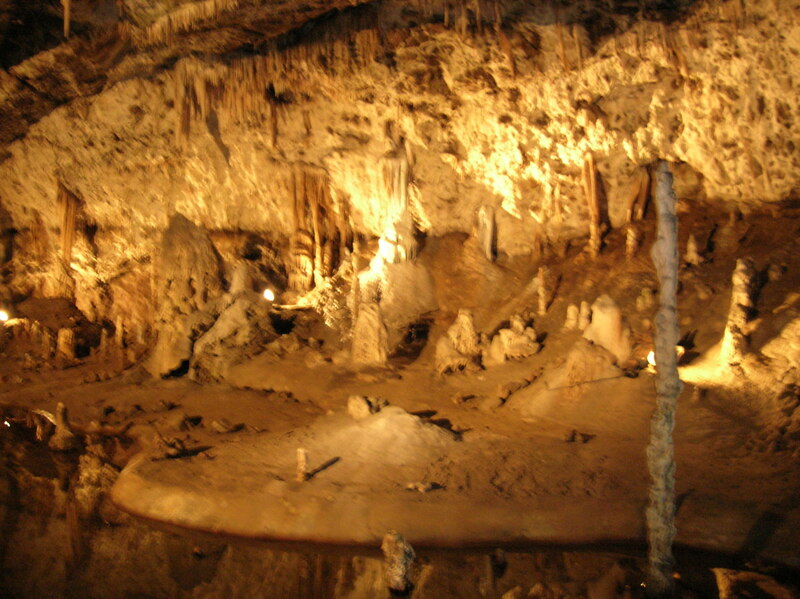 The caves were discovered in 1950 and opened to the public in 1959. They are easy to get to as well. 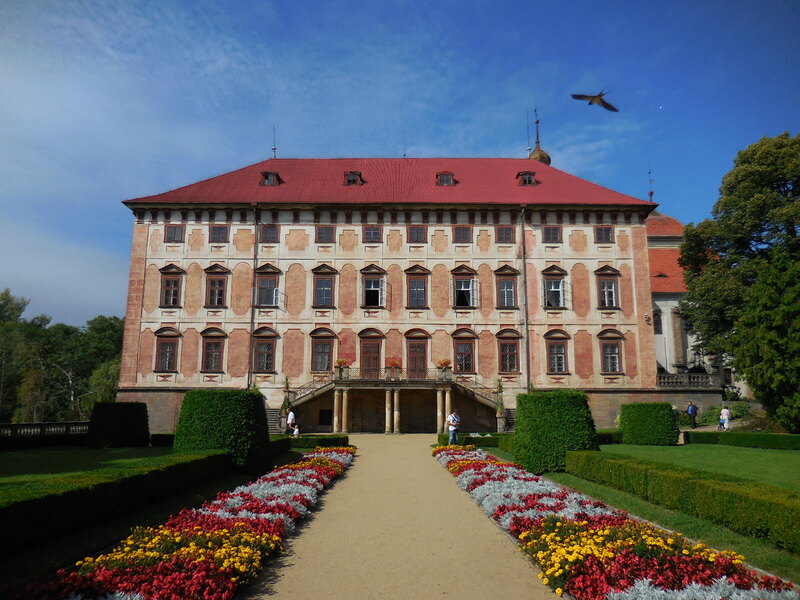 I took the train to Beroun, about an hour from Prague, waited about an hour and then went by shuttle bus to the caves. I was impressed that bones of prehistoric animals have been unearthed there. 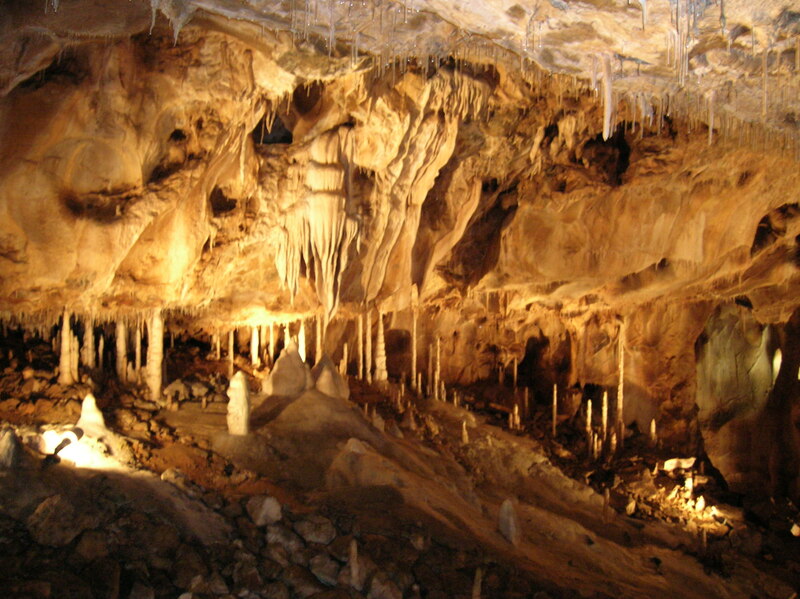 The stalactite and stalagmite ornamentation was thrilling; one cave even used to be a medieval money forgers’ workshop in the 15th century. According to the guide, between 5,000 and 10,000 fake coins were made there using copper sheets and an amalgam of silver. I saw copies of the equipment the forgers used. 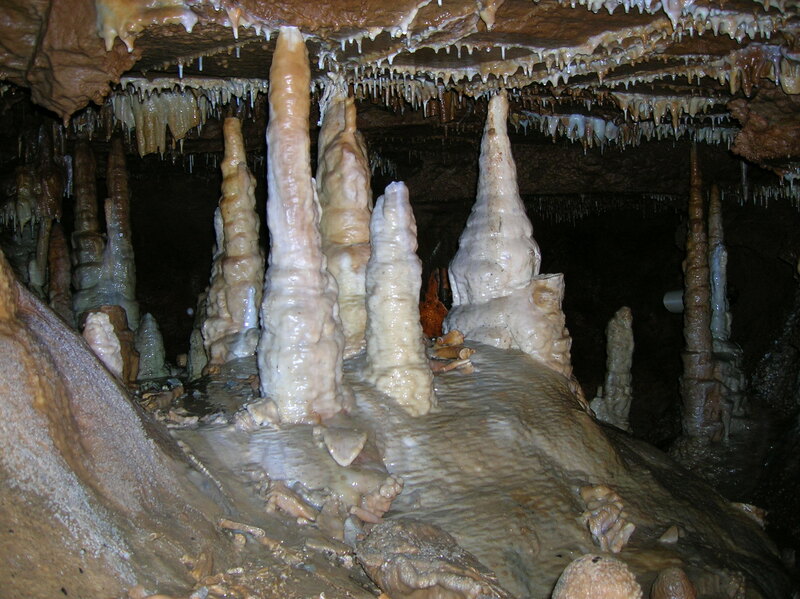 I took note of some stalactites shaped like an organ; Eternal Desire is composed of stalactite and stalagmite spikes that are almost touching; and another formation appeared as white gushing water, stopped in time. Perhaps Prošek’s Dome astounded me the most. 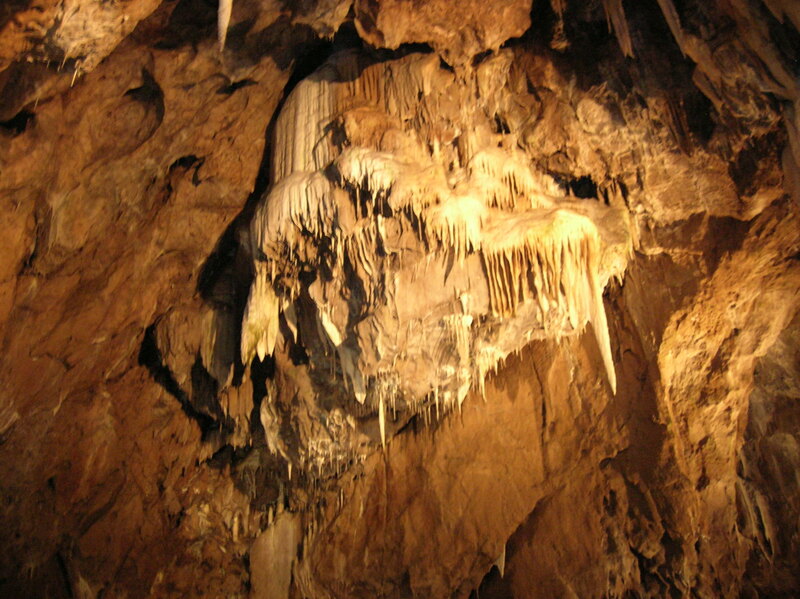 In this cave I set my eyes on the 1,500-year old Koněprusy Roses stalactite formation. 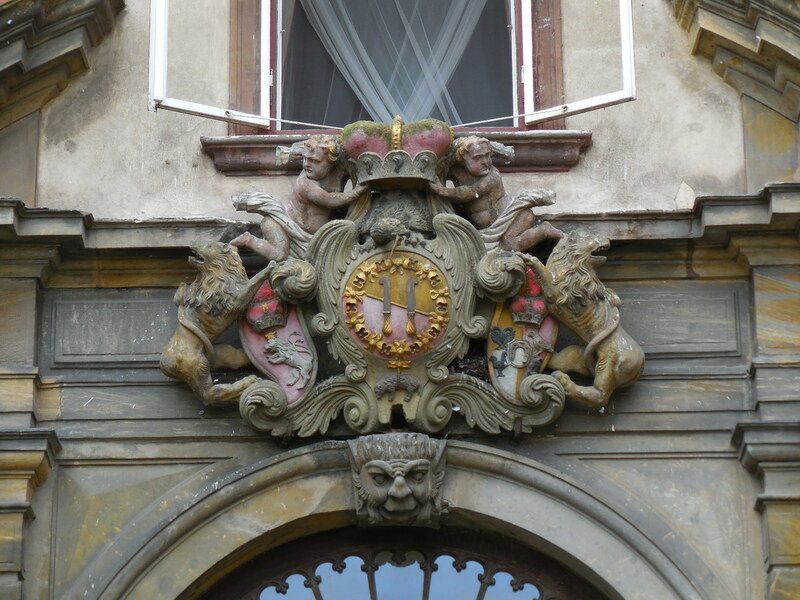 It fascinated me that this is the only place in the world where this sort of ornamentation has been discovered. 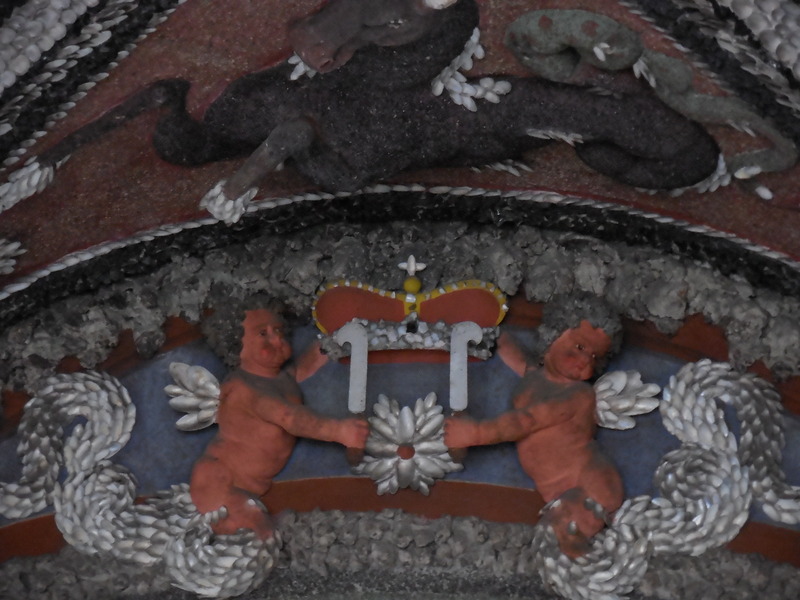 In another cave a certain formation could depict a rock-made window frame overlooking a grotesque landscape of quills, resembling swords, pointing down from the roof. Nearby a stalagmite appeared to me as a sandcastle, seemingly so fragile that it could be broken with the slightest moment. A shape on the ceiling looks like a gaping mouth about to swallow the visitor. In the waterfall I saw the droplets of water gushing down, stopped for eternity. Also, in the Organ Hall, I noticed stalagmites taking the form of a small town made of cliffs. Replicas of bones unearthed in Prošek’s Dome were exhibited in the Empty Dome; for example, I took note of the skull of a woolly rhinoceros and part of a human skull, both 13,000 years old. There are other caves that I liked, too. I went by bus to Semily and then took another bus about one kilometer from the Bozkov Dolomite Cave, but it can be difficult to find public transportation that goes there. This cave, in the foothills of the Giant Mountains of northern Bohemia, boasts the longest cave system in the country formed on dolomite limestone as well as the largest underground lake in Bohemia in the Lake Cave. 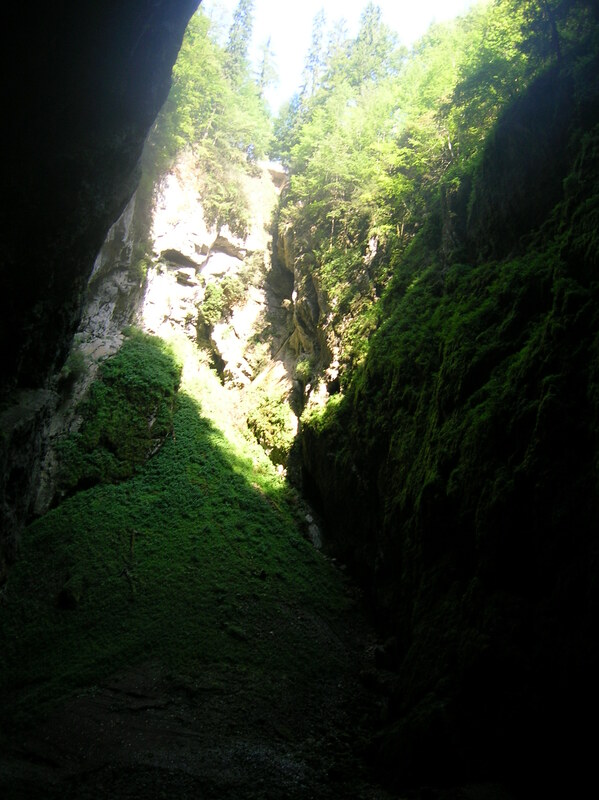 Discovered in the 1940s, it is the only publicly accessible cave in northern Bohemia. For me, the underground lake of glinting green water framed by rock formations was the thrill of this tour. Some of the rocks even formed an archway through which the water seemed to flow into the horizon. 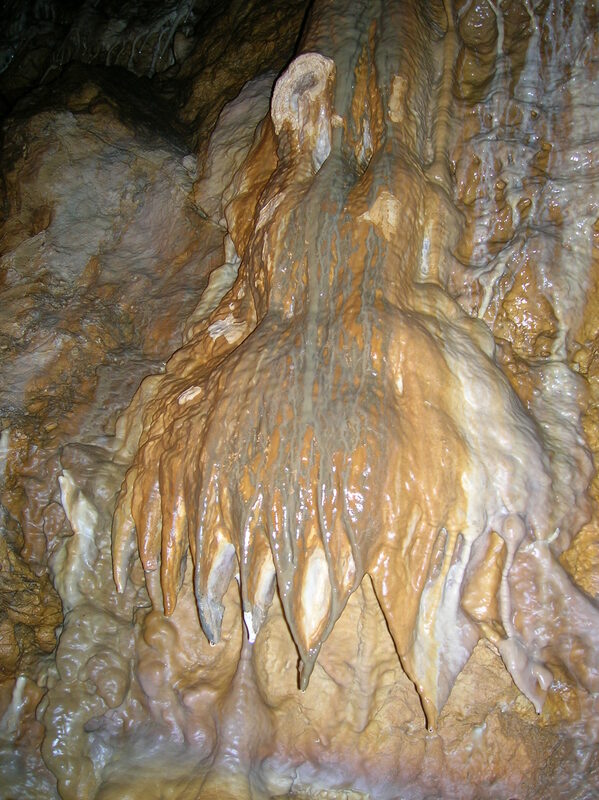 I saw other rich stalactite and stalagmite decoration on the tour, too. For example, I imagined that a squid was moving sideways in a strong current when setting my eyes on one formation. I was a bit frightened when I peered down a chasm into the depths of darkness. In another cave I took note of a waterfall bulging at its bottom. 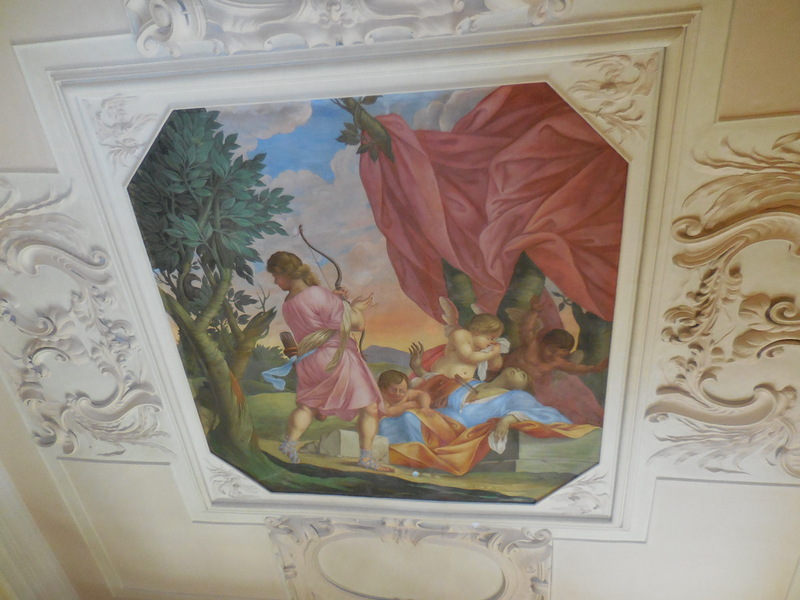 I stayed in the spa town of Jeseník in northern Moravia when I visited the Na Pomezí Caves (Jeskyně Na Pomezí). I took the bus from Jeseník, but times were irregular. 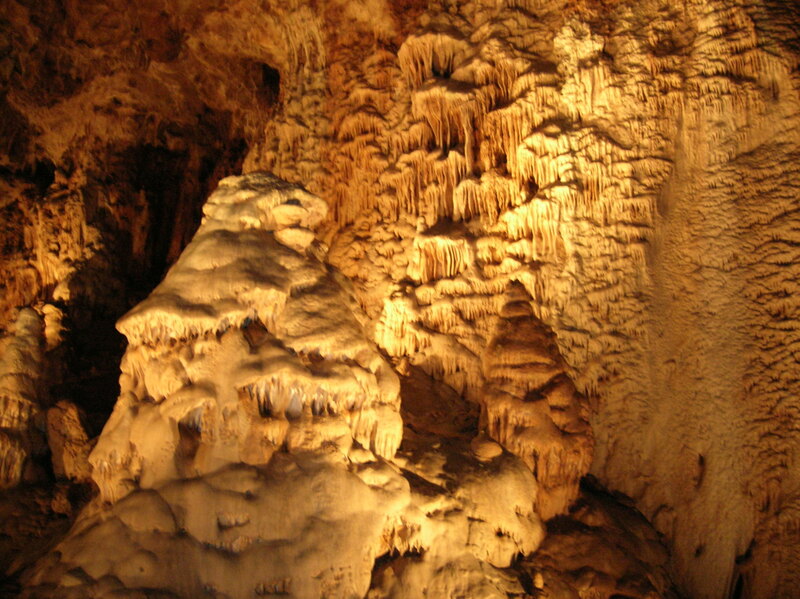 The Na Pomezí Caves have the largest cave system in the country. While exploring the 530 meters of these caves, I saw a curtain-like formation that appeared to be made with coarse material. 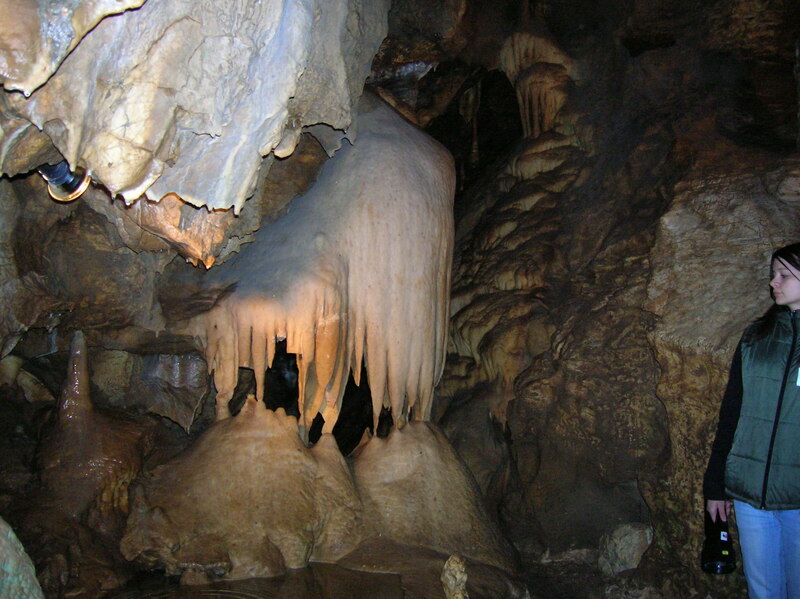 Cascades and large stalactites adorned the caves. I imagined one grotesque shape as someone’s dentures about to bite into two muffins. 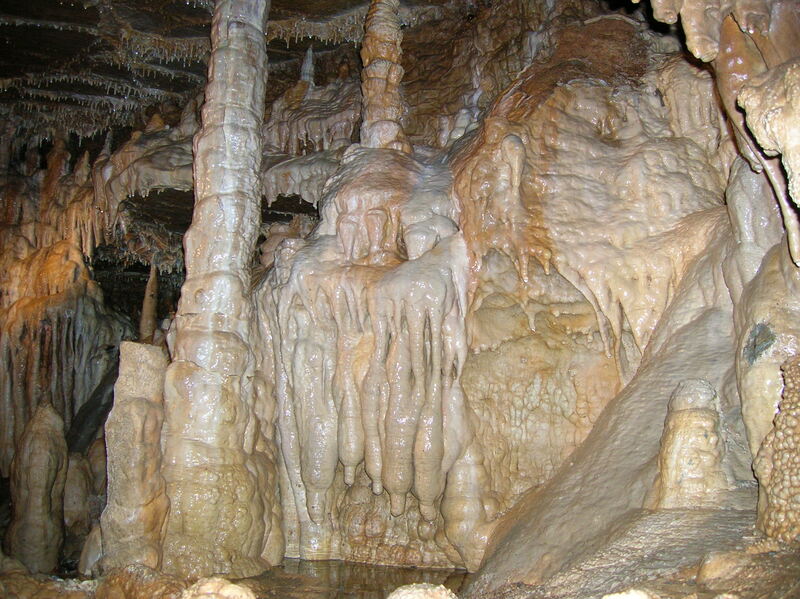 Some of the caves that enchanted me here included the Ice Dome, the Weeping-Willow Cave and the Roman Bath corridor. There are other caves in the country, but those are the ones that excited me the most. Whenever I descended the steps and walked into the depths of a cave, I felt as if I was looking deep into my soul. 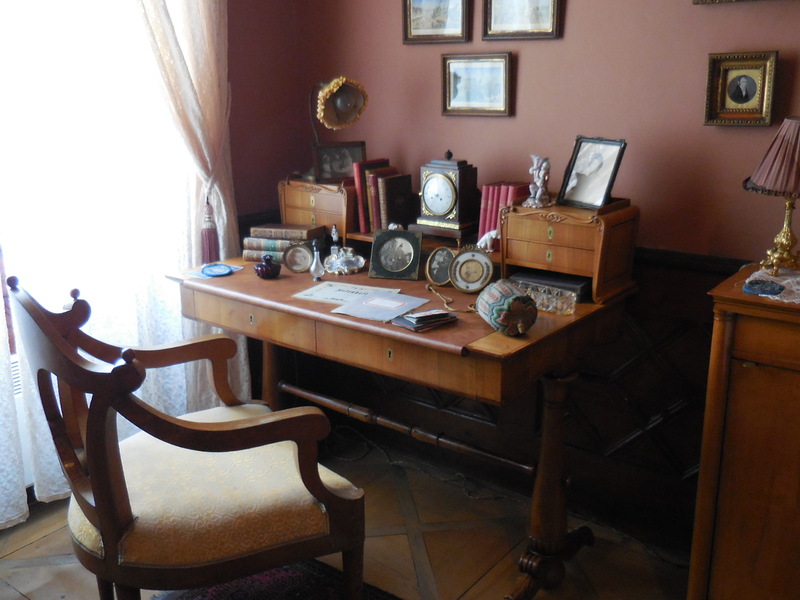 When I listened to the legend of Kateřina getting lost in the cave of the same name, I thought about feeling lost myself, how I didn’t want to be an English teacher anymore, but for the time being couldn’t find another job that suited me. I felt that I had yet to find myself, and I was nearing 40. In other caves I mused about my life as well. I pondered over whether I should have had children. I wondered if I would be happy being single all my life as the few men I had loved hadn’t loved me. I thought about many things during those visits to caves, and I always felt enlightened by the time I exited each cave, leaving the darkness of my musings for the joyous light of day.